When you arrive Merkezefendi neighbourhood you meet multiple meatball shop. The location of Master Rahmi’s place is next to Merkezefendi Mosque. The basics of Merkezefendi meatball is based on the traditional meatball taste in İnegöl which has been established by İsmet Tatlıdil in 1917. After the family moved to Istanbul; Fahri and Rahmi, the sons of Mr Tatlıdil, have opened their first shop next to the mosque in 1962. The taste and flavour of the meatball has won back the favour of Istanbul people in short time. 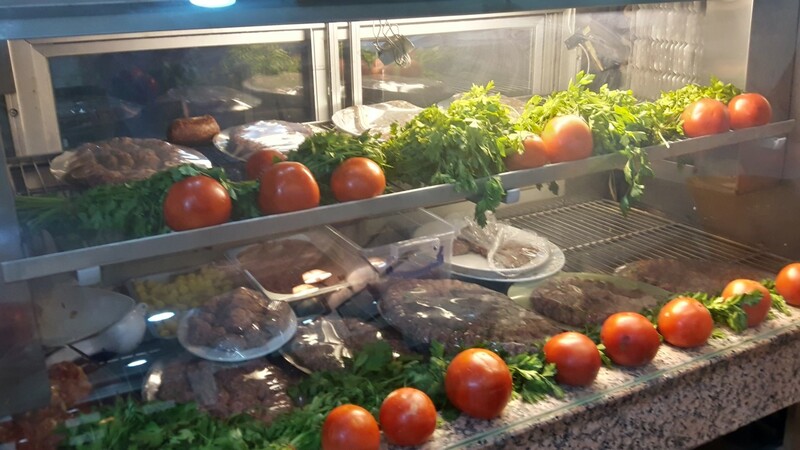 The reason of the meatball fame of Merkezefendi district is this firstly opened shop. 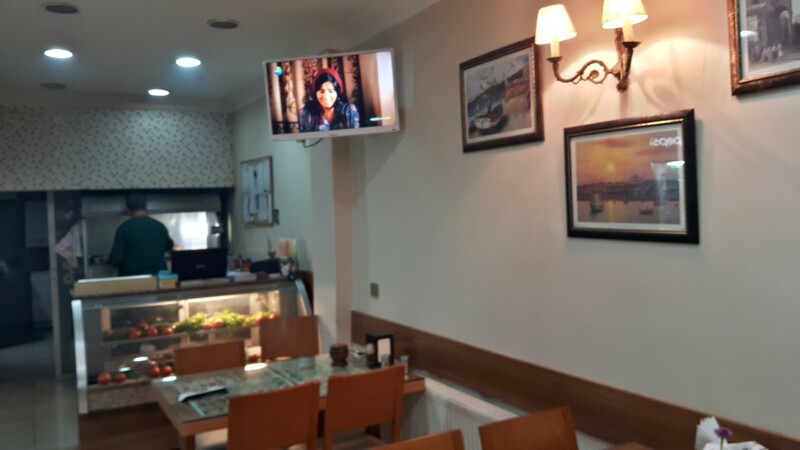 Today, Merkezefendi Meatball Restaurant is not only a venue name but also a brand. Merkezefendi. They have been given service in same address along three generations and for 50 years. So they have a great experience based to its one century past. The district has experienced a serious renovation in 2014 and converted to Merkezefendi Mansions. Due to this fame other venues have been opened with similar names. They are different only in respect of master’s name. 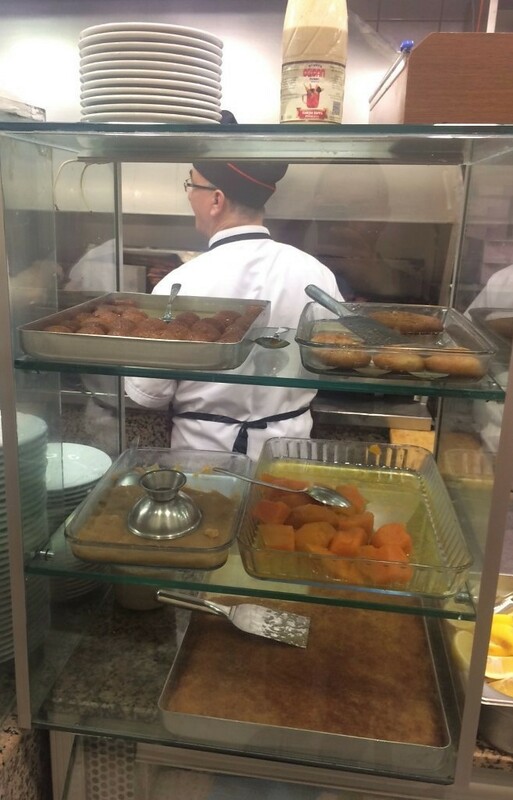 For instance Merkezefendi Meatball Restaurant Master Ahmet. They said that Master Ahmet has grown up beside Master Rahmi. The venue of the Master Ahmet was more crowded. 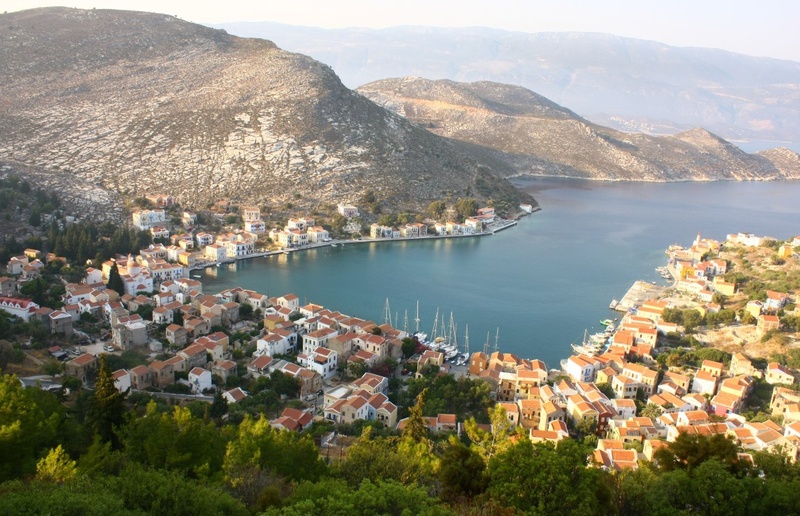 Thanks to the location of it is more advantageous. It has been seen firstly. 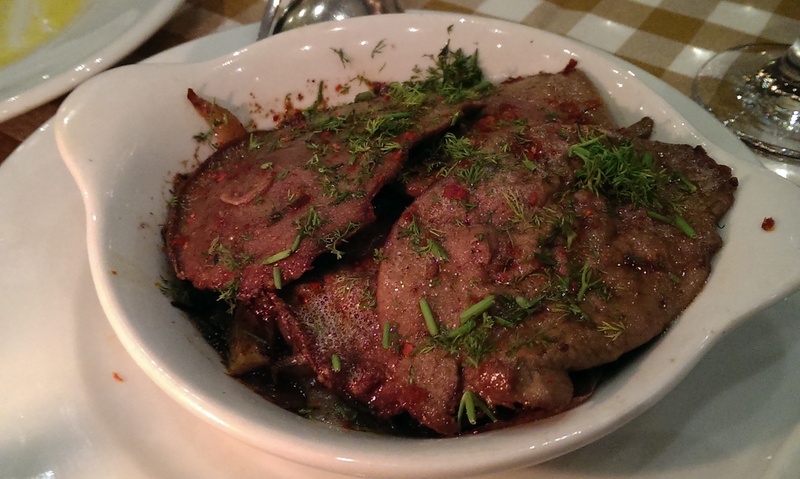 The meatballs of Master Rahmi are made from veal. It is very successful in respect of taste. Portion price is 17₺. 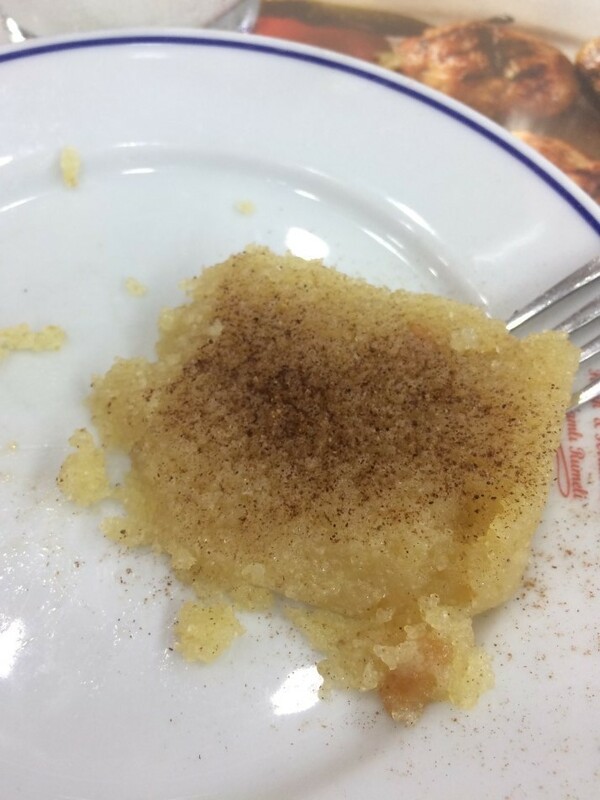 I liked very much semolina dessert with ice cream (10₺). They also praised its haricot bean salad (7₺) but I did not taste it due to I have already eaten haricot bean salad in another venue. You can find handmade ayran (3₺) as beverage in here. Consequently, if you eat meatball in here, do not neglect to taste haricot bean salad. Decision is up to you but for me Master Rahmi :) #KanGurular Fuat Ş. After you went out from Mercan Gate of Grand Bazaar; if you follow the narrow street curving towards left you can find Köfteci Mustafa in one of the back streets on the left side. We sat down one table located across of the shop on the pavement. 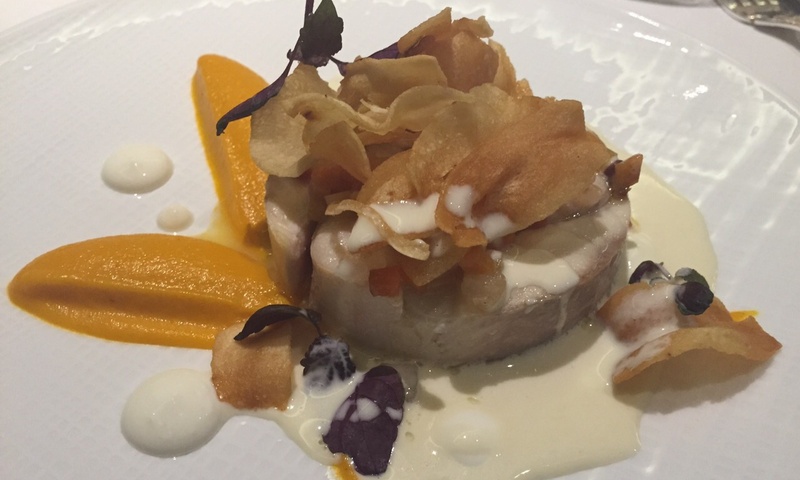 The venue is a typical modest artisanal restaurant and bigger than so many venues around. Especially it is very busy in lunch time. It will be more convenient visit here except this time. We ordered portion meatball and one portion haricot bean salad to share. Breads grilled on the barbecue and came to our table. The portion price of the meatball was 14₺. The meatballs, made from veal and lamb meat mixture, were juicy and soft. It was very good. I found barren the haricot bean salad (6₺). Although I used vinegar and lemon juice to taste it; it did not work. Beans were too soft. I wish it would be nice like meatball. If you come to Beyazıt or Eminönü; I advise this venue especially for a meatball experience. #KanGurular Fuat Ş. The charming smell of that famous meatball has been caught firstly in 1962 in streets of Merkezefendi. 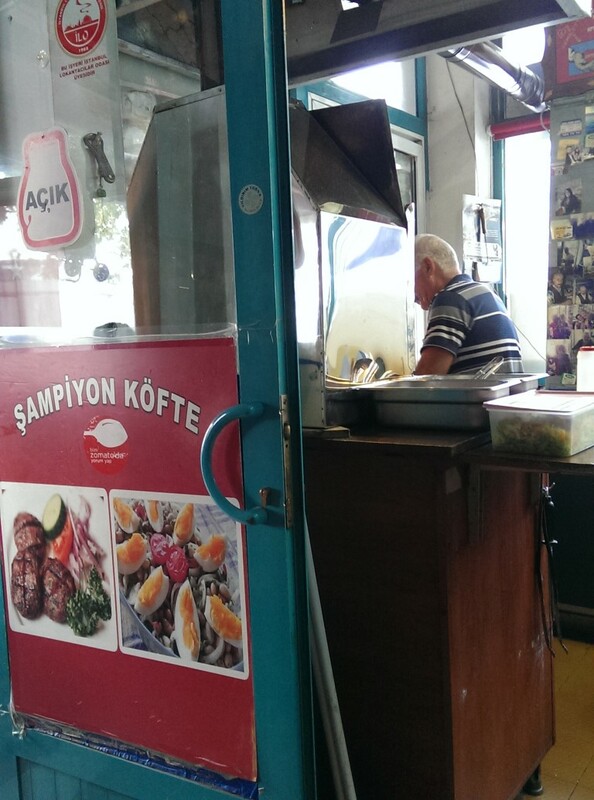 Deceased Master Ahmet has been started to make meatball in his rambling shop with one table and four chairs. 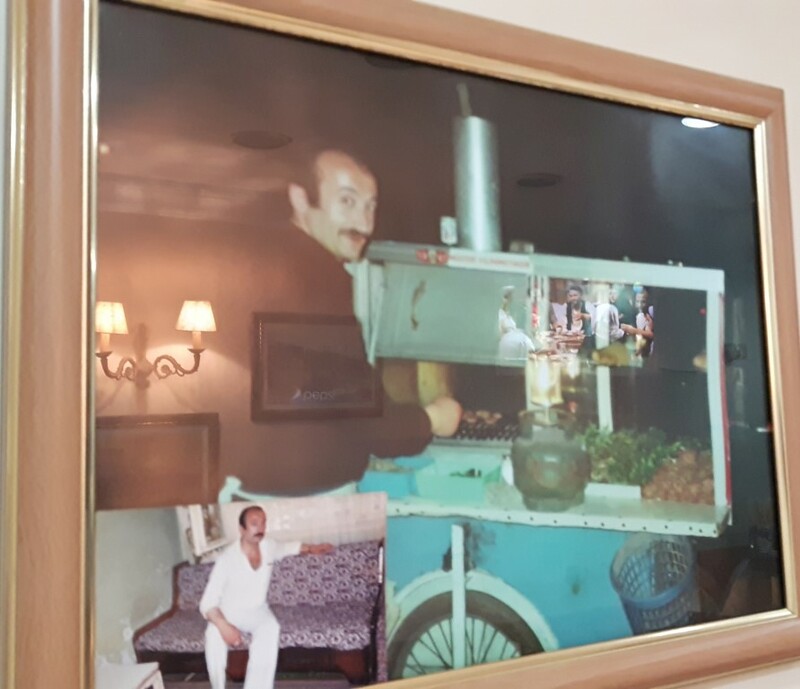 He has served his meatball with haricot bean salad and ayran for long years. Now that table and chairs of past days converted into tens of tables and hundreds of chairs in two branches at Merkezefendi and Zeytinburnu. Hundreds of meatball portions are being served now to the his guests. There are some sentences of him summarizing the secret of his steady taste “I bought the meat from same butcher for years. Every kind of meat is not appropriate for meatball. 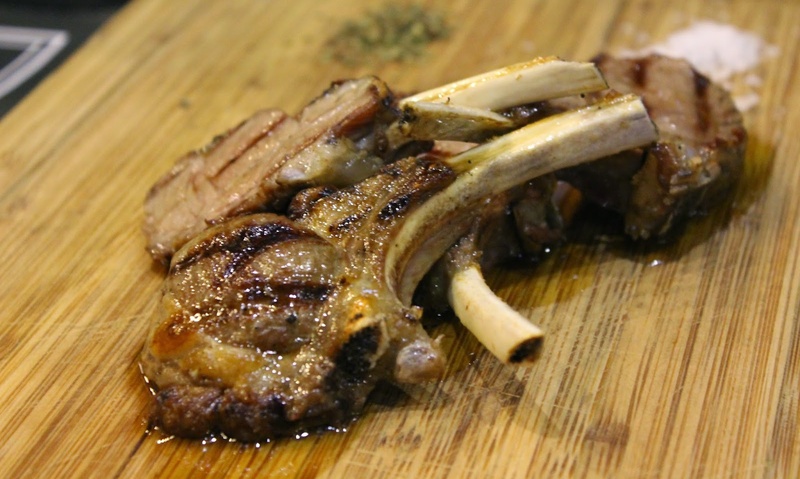 Meatball should be made from rib meat of veal and lamb meat mixture. 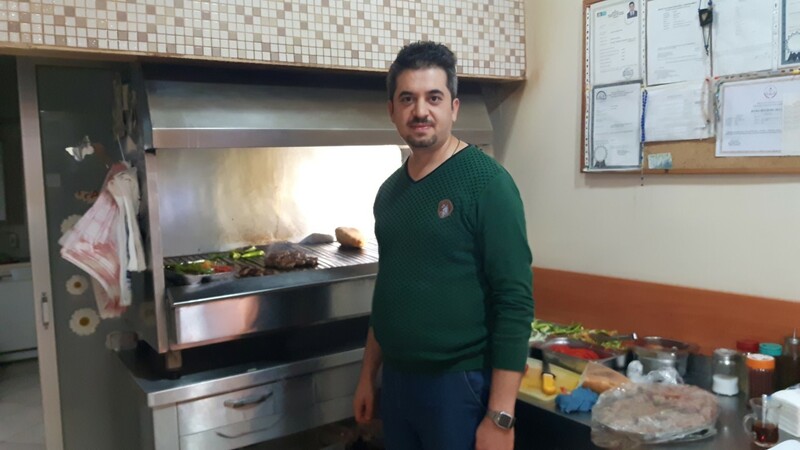 Even its cooking is like science.” His sons, brothers Levent and Bülent İlçi, took over the job after his death and they are living the proud of reaching today thanks to ambition and effort of Master Ahmet. The taste of meatball might be very ordinary or very good for some of us. I found its taste average. 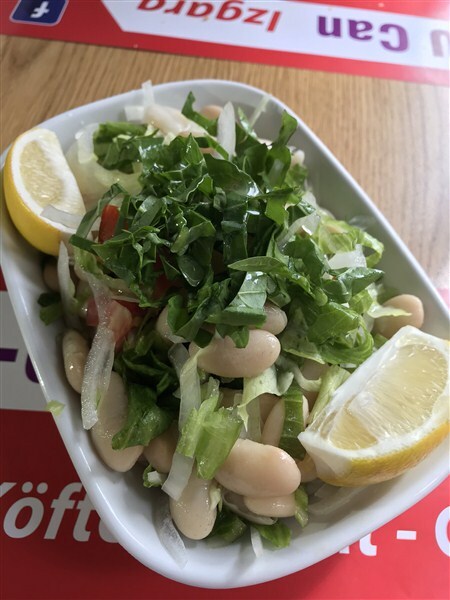 Its portion price 17₺, hand-made ayran 3₺, haricot bean salad 7₺. Usually it has a busy atmosphere. Because, people come to here from different parts of Istanbul only for eating meatball. Its fame is very common. 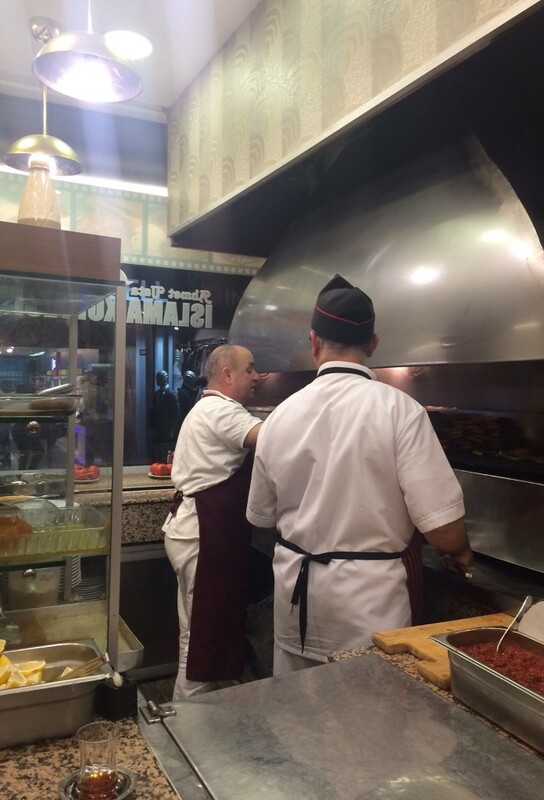 There are two historical meatball restaurants in Merkezefendi: Master Ahmet and Master Rahmi. Which one is the best? Try both of them and the decision is up to you. #KanGurular Fuat Ş.
I visited the venue in a rainy noon for lunch. Hocapaşa Street was crowded again as it is. The venue has also got its share from that crowd. I placed on an inner table. 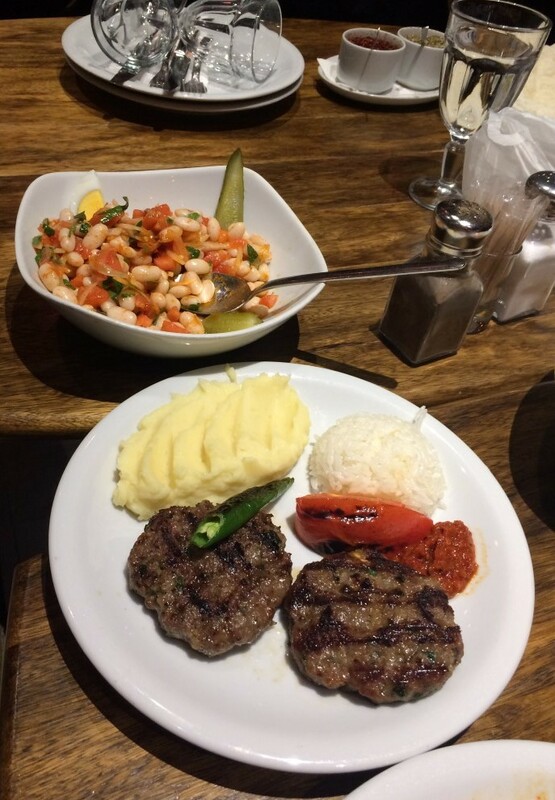 I ordered one portion meatball, haricot bean salad and special ayran with foam. These ayran glasses were waiting in the fridge. Having handmade ayran is an additional point for them. Its portion (14₺) consists six pieces of meatball. Its weight is about 100 grams. If you eat only meatball you are not satisfied. It was a fat and juicy cooked meatball but I would preferred a juicier one. Its outer layer was a bit hard and overcooked. 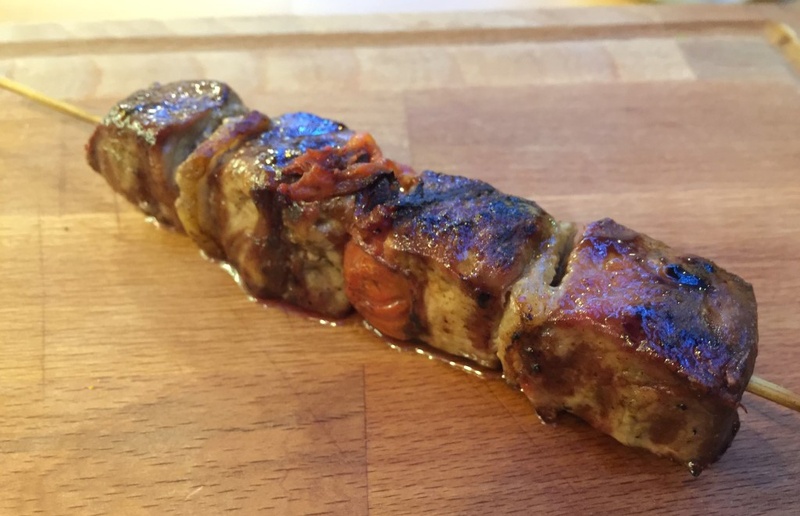 This light spicy meatball is made from veal breast and arm. So, it is an oily minced meat. 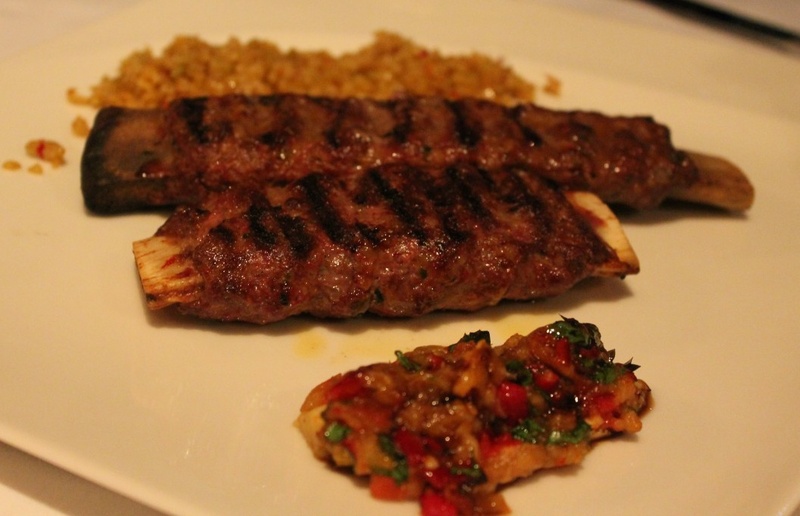 The meat comes from Balıkesir. It is grilled on coal fire. There is no bread in its mixture. Its taste was good but not unique. The beans in the haricot salad were nicely boiled. It was a blarney without eggs, light oniony and plenty of olive oil. It was enjoyable to eat. Due to the insistence of Faruk Bey, I ate half portion semolina halva. I liked it very much. It was not too roasted and consistent. After I ate the meatball plate with bread and other sidings I also ate dessert. So, I was full for a long time. 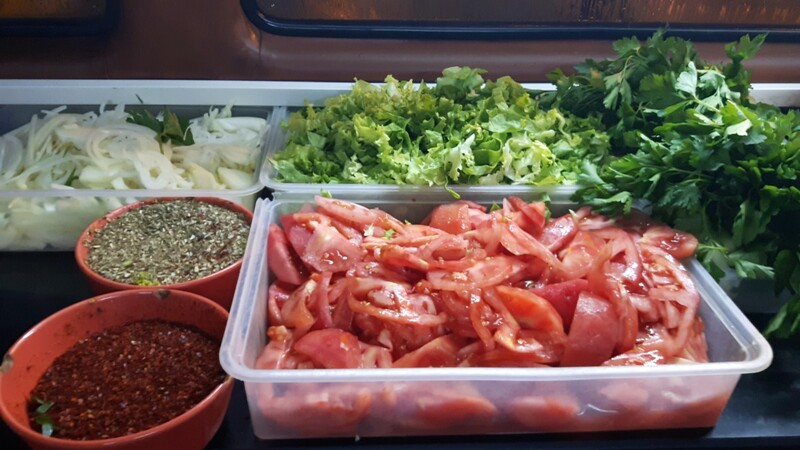 #KanGurular Erşen T.
Çiçek Köfte has been operated in Karaköy since 1989. Although the name of the three-storey venue has been known a meatball restaurant there are so many choices in its menu except meatball. I tried the grilled meatball and haricot bean salad of the venue for lunch. There are also available İnegöl and cheddar cheese versions of the meatball. Meatball portion consists six thin pieces of meatball. They were grilled without dried on the coal fire. The venue is used to service for a dense crowd in lunch time. Though, you can experience some problems like late service or wrong order. Meatballs can be divided even with a fork due to they are not like plastic. Its taste is average. There is no spice pressure. I could not find any time or person to ask the ingredients of them. Some of you can find portion size as insufficient but side dishes fix this situation. 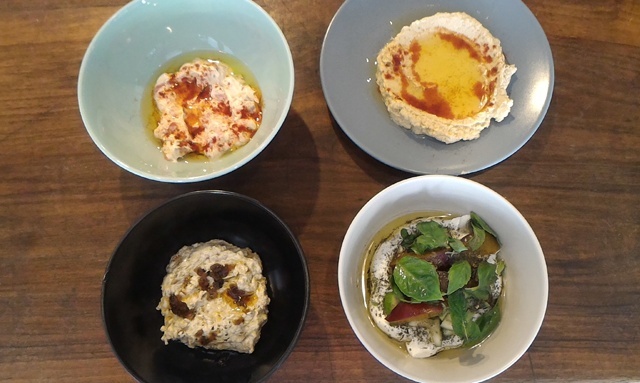 Side dishes; A sauce not being too hot, consistent bulgur rice and a piece of flat bread. The blarney is a bit different from classic version. It was light hot and added sliced pickles. It was different but tasty. I liked it because of I do not like barrenness and egg in blarney. People who likes classic version of blarney may not be liked it. 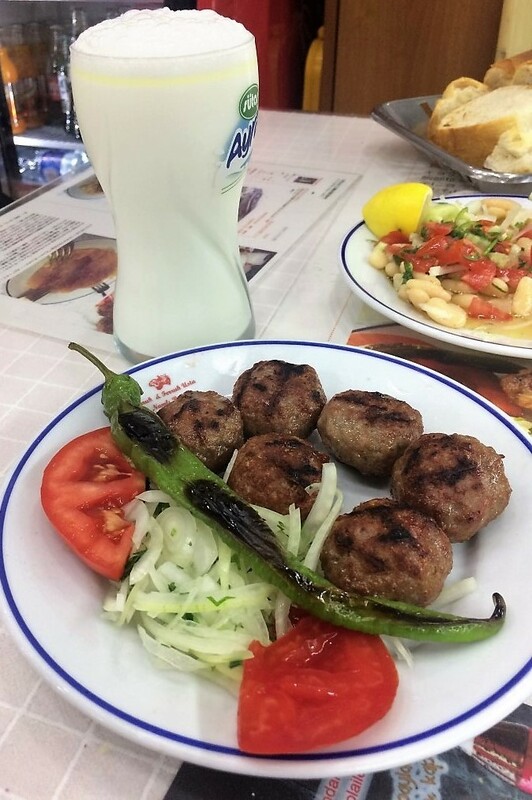 Menu of Meatball + blarney + small ayran is 20 ₺. If you eat only meatball you pay about 15₺. The venue is open till late afternoon. It is worth trying. It has a special atmosphere especially thanks to the B&W photos on the walls. By the way do not think only as meatball restaurant. There are also available stew or olive oil dishes. For me it is outstanding with these tastes than meatball. There is no handmade ayran. Credit card is available. 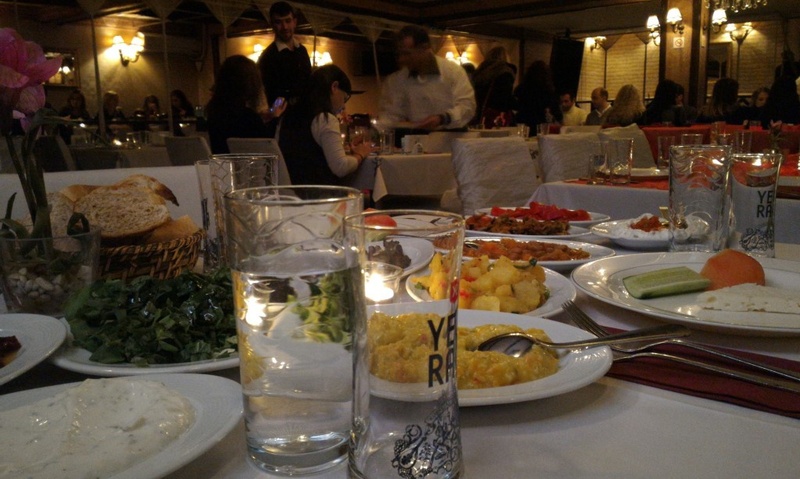 #KanGurular Erşen T.
It is an artisan restaurant hidden in one of the streets arriving to Galata Tower. When you climb the slope through Tünel, you see an old fountain with tulip pattern on the right. Turn right from here and keep climbing the slope. You will see the venue. Galata Tower is emphasized in decoration. The venue is usually busy in lunch time. 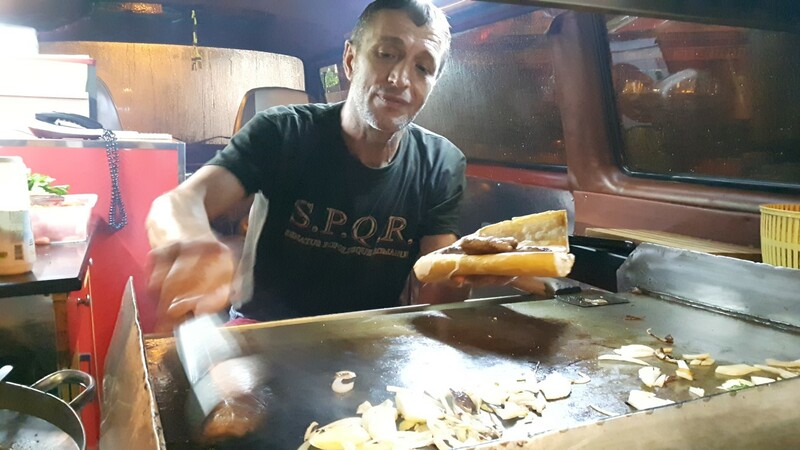 The young owner has continued the job of making meatball in pitch took over from his father in here for two years. Actually, the venue is a family enterprise doing this business for 25-30 years. It is open till late afternoon; because nearby artisan category are closed their shops early. Meatballs are prepared by its owner from mixture of lamb meat and veal breast by adding light spice and low bread. 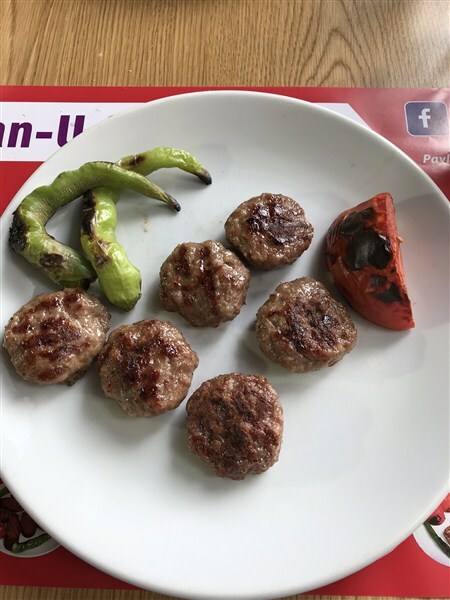 Grilled meatballs on coal fire are serving as portion (12₺) consisting five piece (it weight is about 150 grams) of meatball. There is also bulgur rice, light hot sauce and garnish as siding. It is hard to find a stable taste in every time. 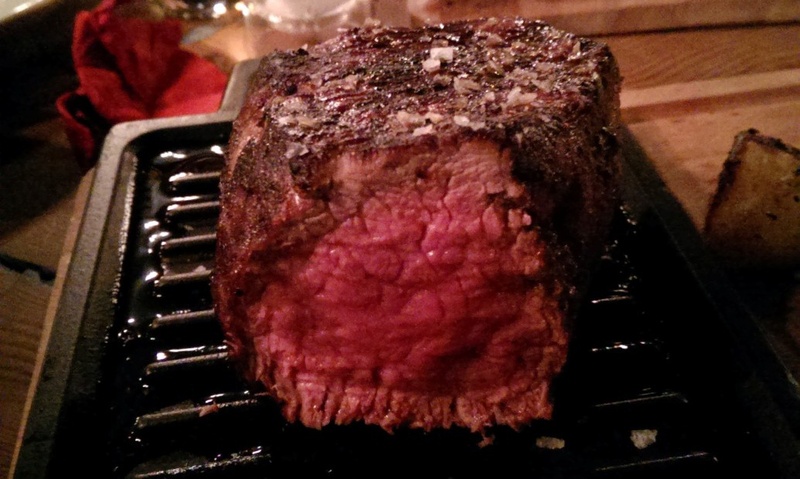 Because it is variable according to the quality of the meat. I found the taste weaker than my past visits. So it depend your luck. 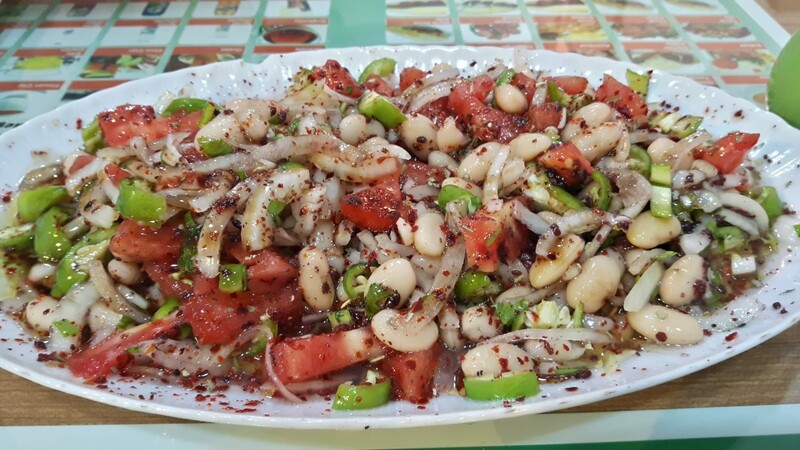 Haricot bean salad (4₺) is serving with ample tomato and onion addition. But its taste was so plain. Even olive oil did not change the situation. Credit card is available. No handmade ayran. You can also find soup and a few stew in here except meatball. People who are searching for an affordable and sincere meatball restaurant can think this venue. 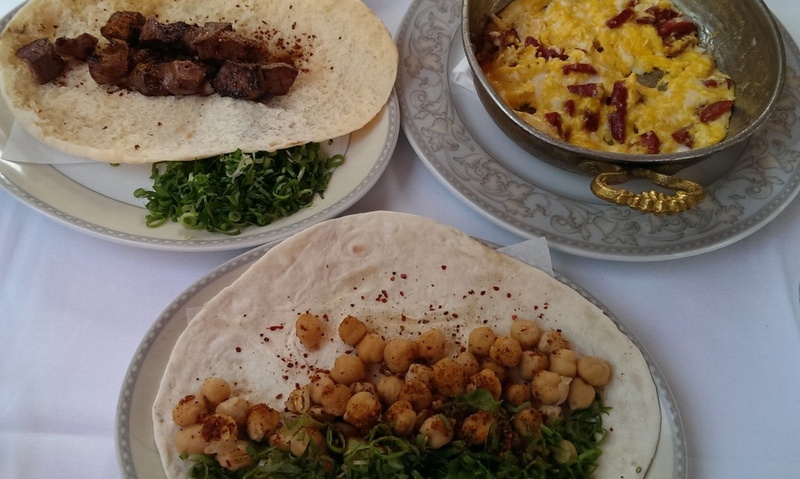 #KanGurular Erşen T.
Nakliman is a tiny, sincere and booth meatball restaurant in backstreets of Doğancılar, Üsküdar. Former boxer Cemal Bey has started to work in ships after he won the title of Champion of The Balkans. Because although he is a champion in this country; he has to work to earn his living. After worked in ships, his adventure has also continued with meatball pitch to start a settled life. 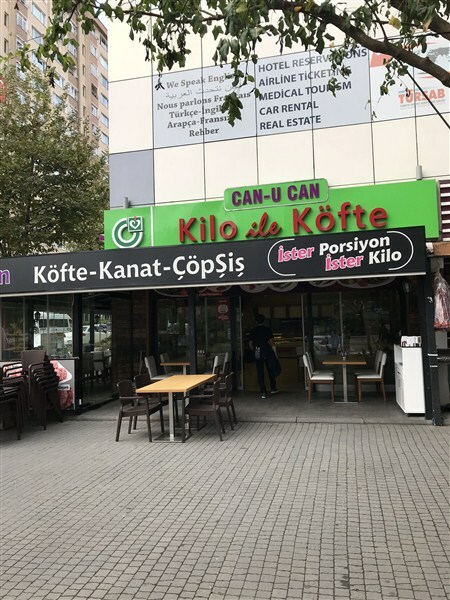 Now, he has a small shop in Doğancılar. Walls and tables were full of old photos containing old memories. 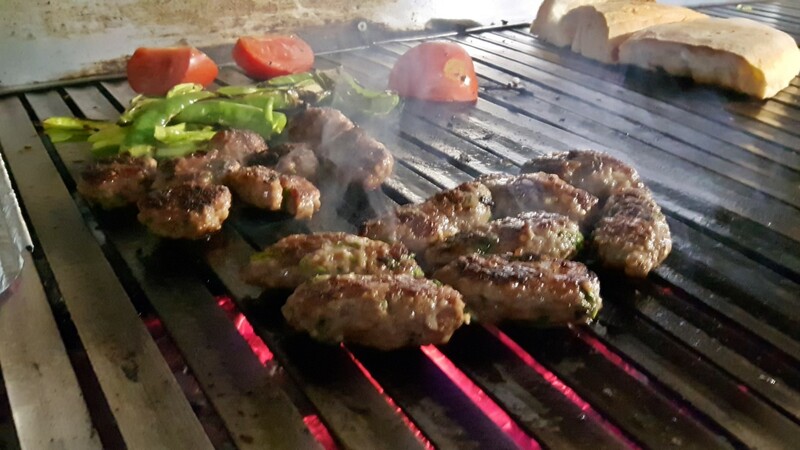 Master Cemal is grilled his meatballs with pleasure. His daughter is in the kitchen; his wife is at the cashier .So, here is a definitely a family business. He is hosting the customers like his guests in a sincere way. When I started to talk him; we suddenly moved into a deep conversation. He talked about the history of meatball and how it is should be. He learned the style and recipe of the meatball in ships. from cooks who are from Mengen. I could not totally categorize it. Partly; I can define as thin, homemade meatball. 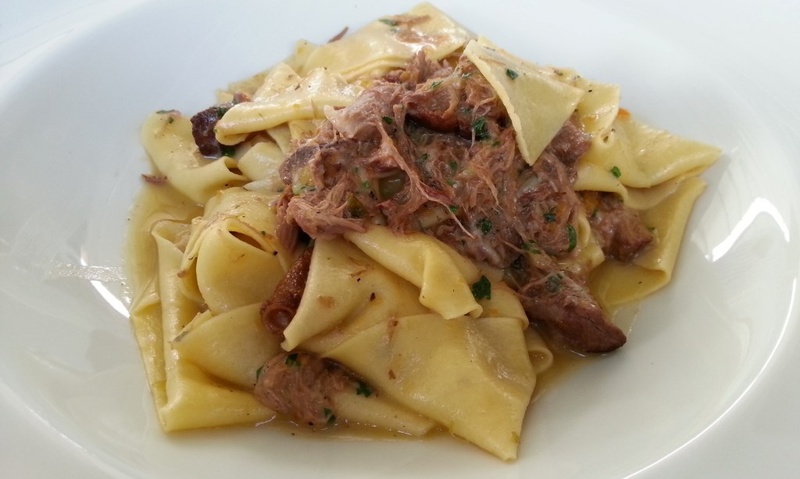 They add some lamb breast to the veal meat which was grinded two times and knead it for a long time with a little bread and very little spice (cumin, salt and meatball mix). These thin meatballs are cooking in short time on wood coal fire with ashy cinder. Meatball is serving with tomato, sweet onion and roasted pepper. 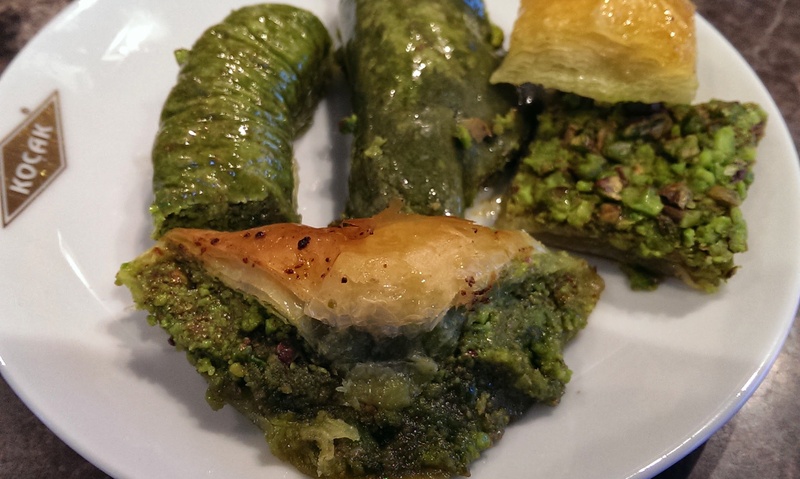 They also put table hot pickled green pepper and acıka as siding. We also ordered haricot bean as a classic side dish for meatball. Meatball was cooked in right consistency but this style of the meatball is not my taste. I also felt an unpleasant taste when I ate it. I did not understand the reason of it. 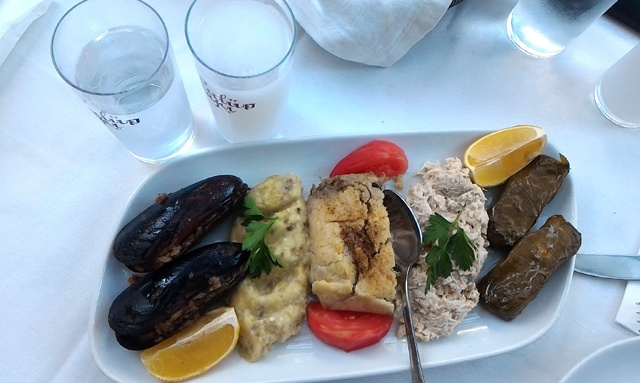 Acıka was delicious. 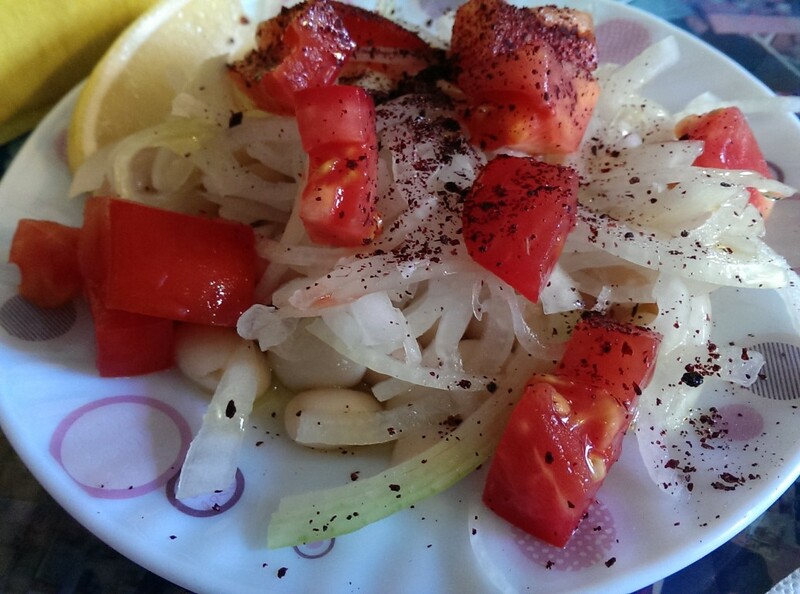 Haricot salad made by İspir Beans was wonderful. Its taste, fresh, olive oil all of them was perfect. It is open for everyday between 06:00-20.00 credit card is available. There are sitting areas both outside and inside. No handmade ayran. They offer tea. #KanGurular Gültekin U. Taste: The taste of the meatball was unfortunately, very weak what I expected. Haricot bean salad should be tried definitely. Braising: The master is cooking the meatballs in right consistency on ashy grill. Portion: It is enough with side dishes but it might not be satisfied with only meatball portion. It is useful to order as 1,5 portion. Hygiene: It is a booth and clean venue. Service: Thin meatballs are cooking in a short time. The venue was not very busy. So my order was prepared fast. 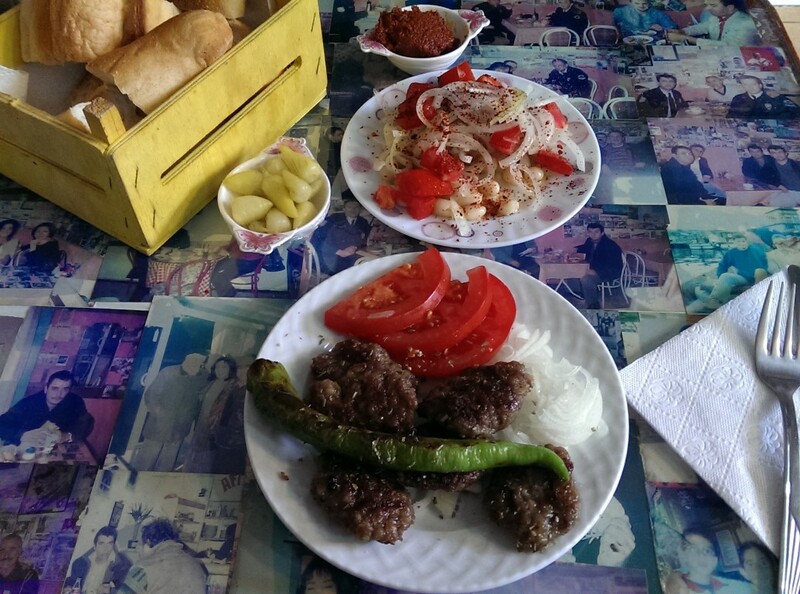 Price: The cost of portion meatball, meatball sandwich and blarney were respectively 15₺, 10₺ and 8₺. The meatball price is acceptable. Blarney was qualified but a bit expensive. I went to this historical, typical artisan venue known as Ako abb. 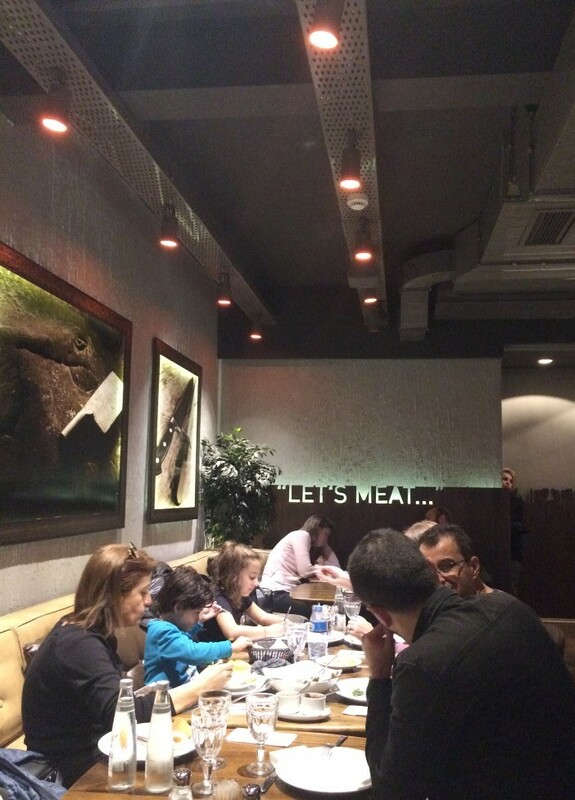 (Ahmet Köse and his sons) on a weekday evening, one hour before closing time. 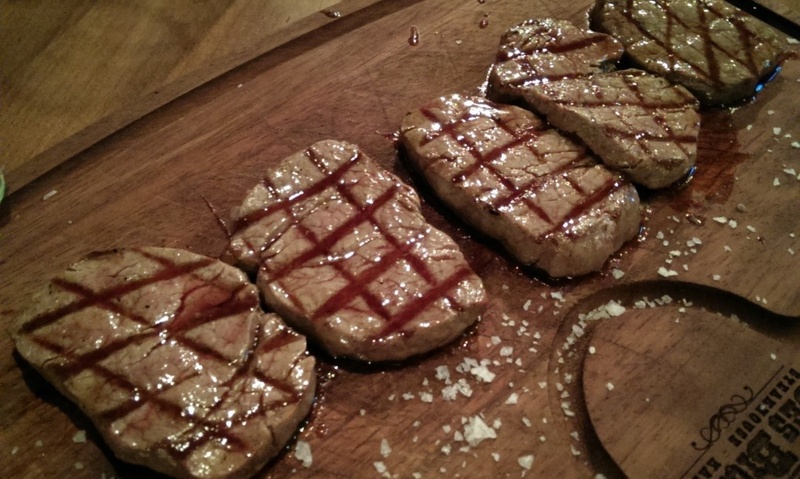 Its meat was a bit oily but the taste was not bad. It has not a striking taste but you can eat it anyway. For me the main feature of here is its wet bread slices. 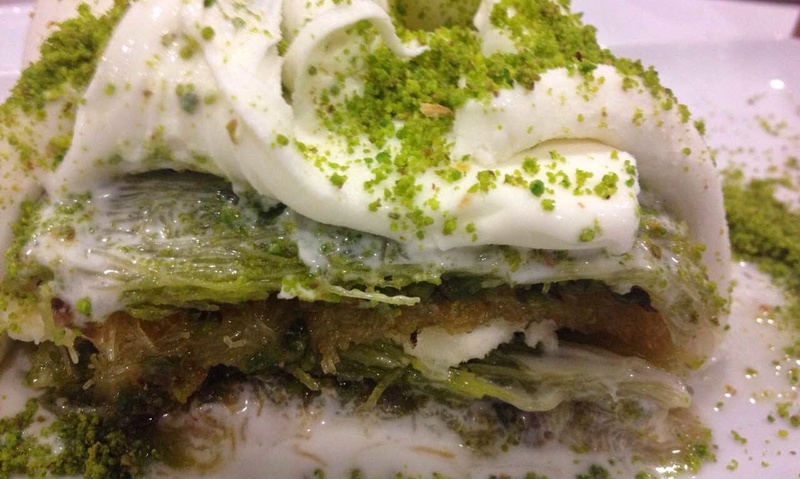 It has been working for more than 50 years and became on the symbol venues of Kadıköy. You can find stew and soup kinds except meatball. The meatball is serving with a light hot sauce. The price of haricot bean salad is expensive but its portion is not too small. It was successful because the beans were remained fresh. 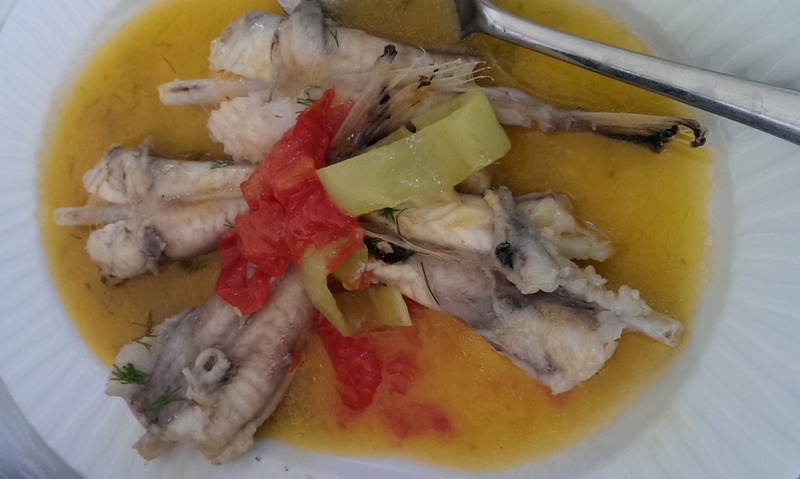 You can season it with vinegar& olive oil served to table. It is serving with little onion, plenty of lettuce. I liked very much stum which was a little sugar. 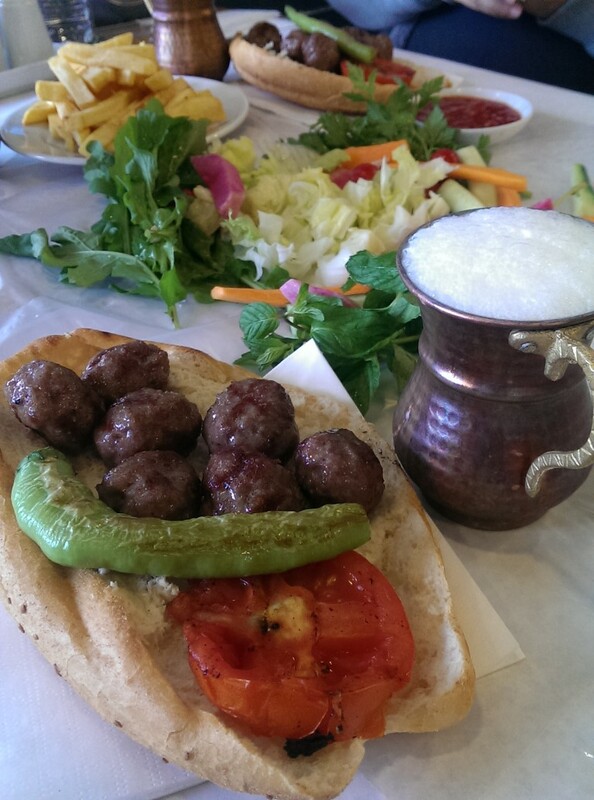 It matched with the meatball for me as alternative of ayran. 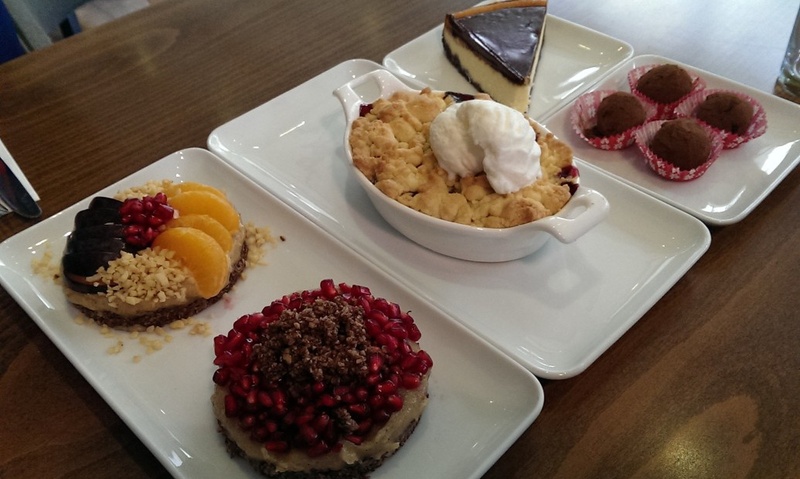 There were different dessert kinds like pumpkin dessert, shredded wheat dessert, Kemalpaşa, semolina halva. But I was full after I ate the menu. The venue is open till 22.00 pm. 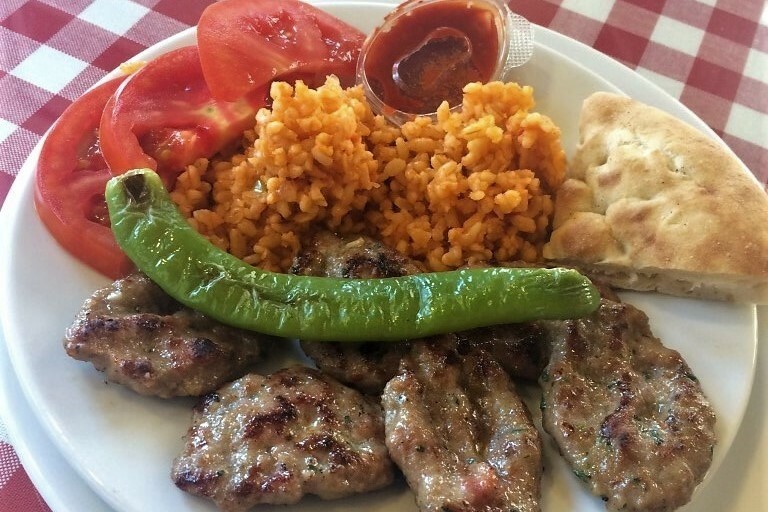 It is one of the old choices for who want to try Adapazarı style meatball. 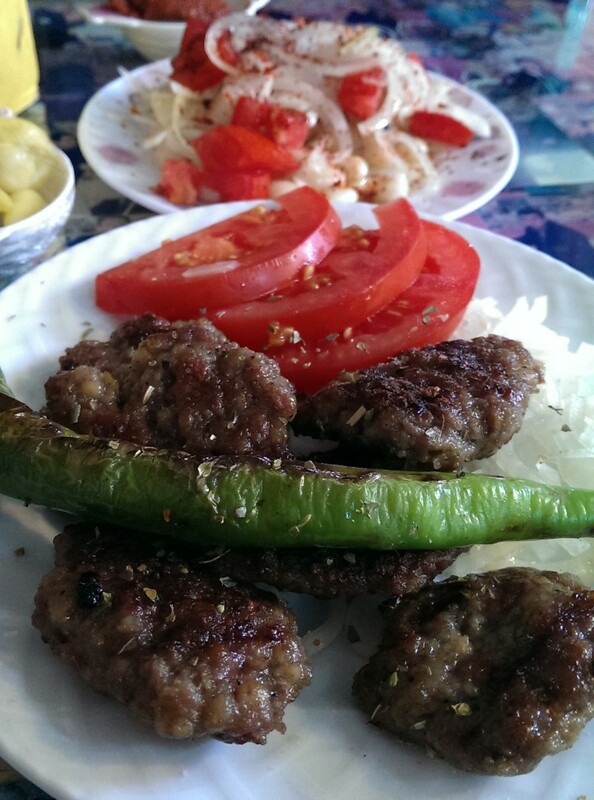 #KanGurular Erşen T.
Taste: The taste of the meatball was a bit lower than my expectation. The blarney deserves to try. 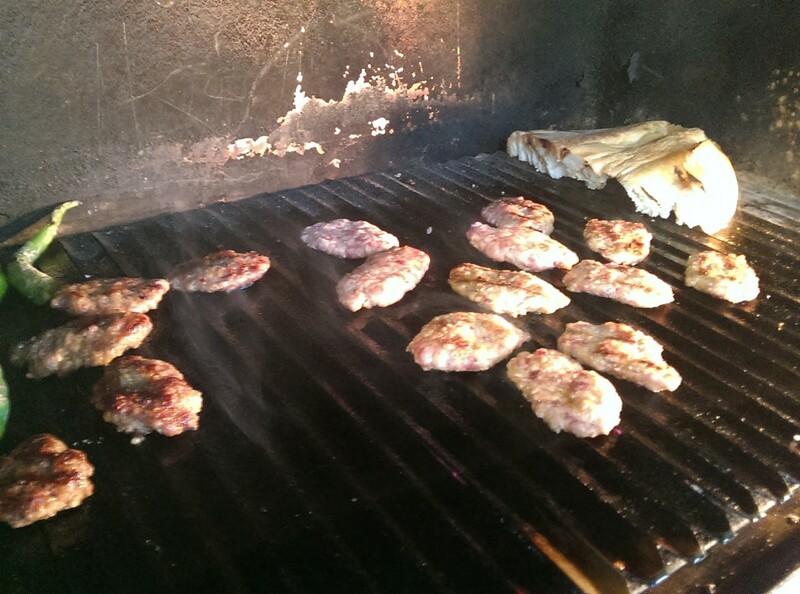 Braising: The master is cooking the small meatballs in right consistency on coal fire. Their inside remained as light pink. 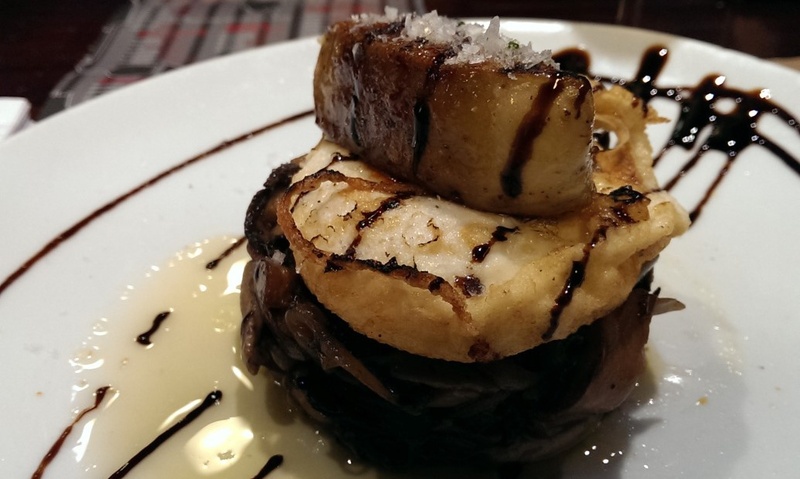 Portion Size: It is satisfied with breads but it might be unsatisfied alone. 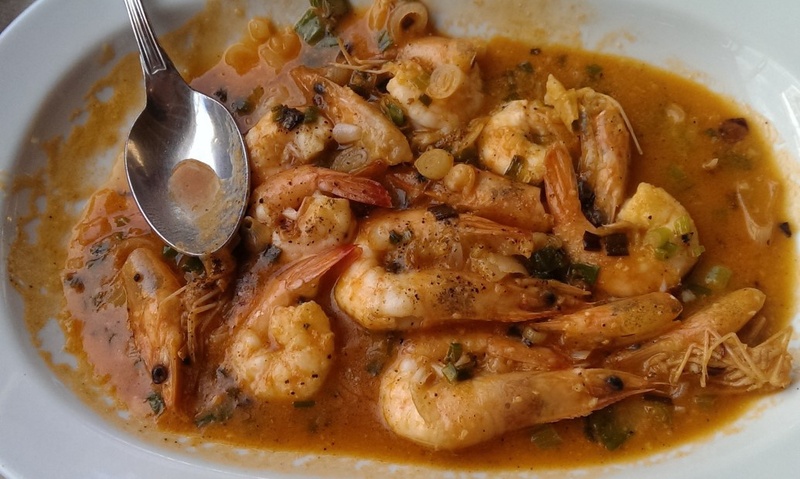 If you will not eat as menu; it is more rational to order as 1,5 portion. Hygiene: It is a clean and old venue. If its decoration is renovated, it will be a more attractive venue. Service: meatballs are small so they are cooked fast. The venue was busy but my order was served in shortly. 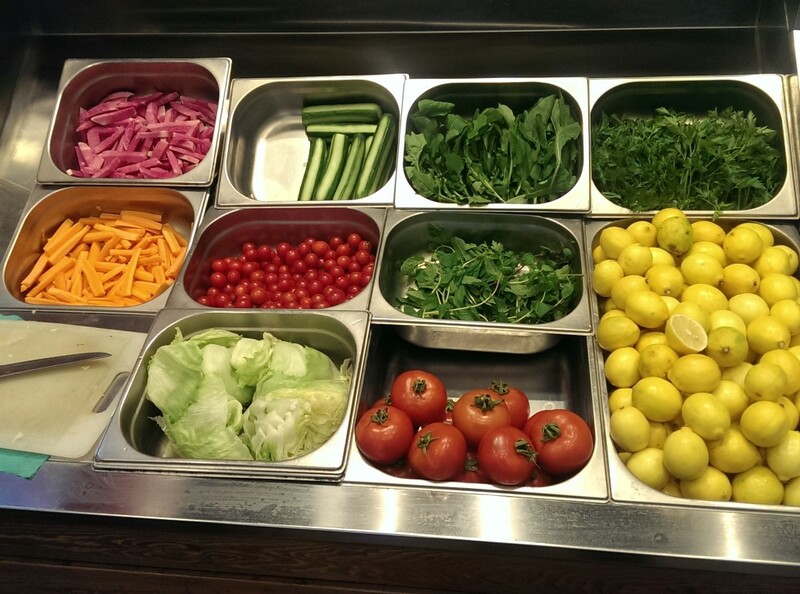 Price: The cost of portion meatball, meatball sandwich and blarney were respectively 17,5₺, 10₺ and 9₺. They are reasonable prices. Just the qualified blarney is accepted as a bit expensive. 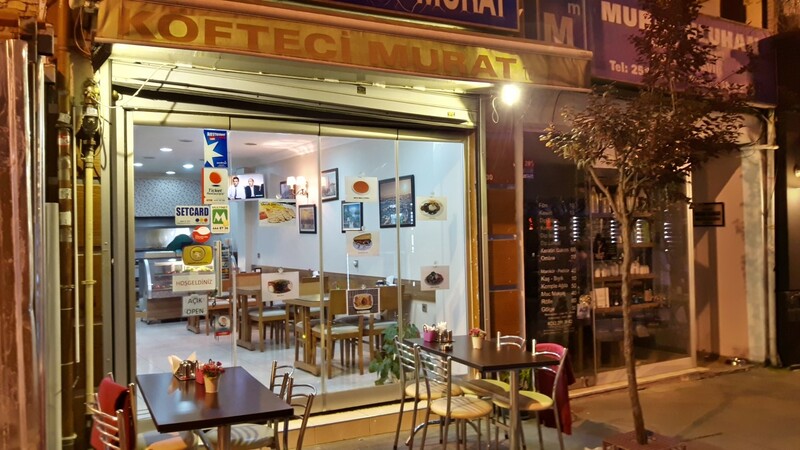 Köfteci Murat is located on Eski Bahçe Street in Mecidiye neighbourhood of Beşiktaş county. It is leaving a good impression on you with its joyful, two-storey, open&closed sitting areas atmosphere. The road is closed to traffic. It is a very precious feature for the customers sitting in open area. Its owner Murat Bey has continued the trip in this venue since 2009 started by his father, Hasan Bey, as a pitch in 1979. Meatballs have reached till now without making concessions its quality in this chic and plain decorated business. Meatballs are made from veal (mainly) and lamb meat mixture, also by adding salt, egg and parsley. Satisfied meatball portion consists eight pieces of meatball, roasted pepper, bulgur rice, hot sauce, fresh tomato and lettuce. The haricot bean salad was prepared perfectly. The texture of the beans was nice, it was mixed with tomato, green pepper and onion. Vinegar and olive oil were added plentifully. 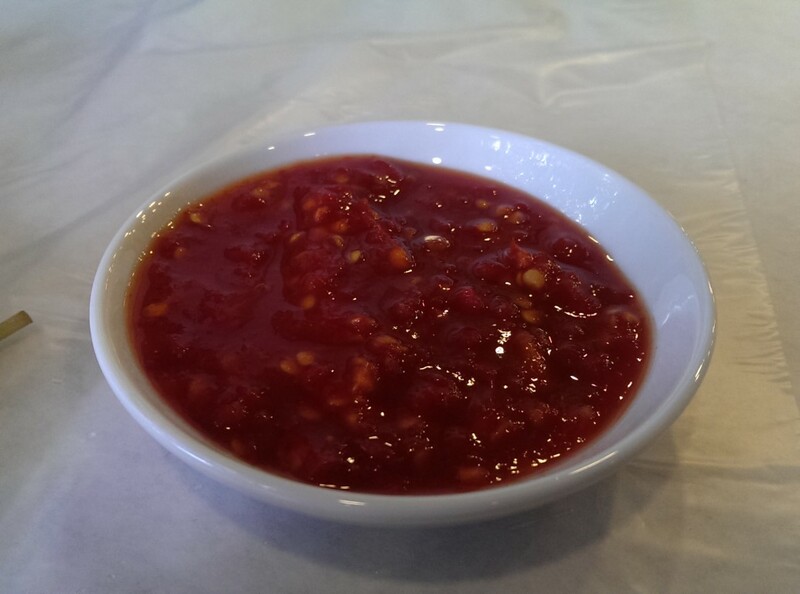 It was garnished red hot pepper. There was no handmade ayran but you can find glass bottled ayran as Sütaş brand. The venue is open every day from 11.00 to 24.00. Credit and meal cards are available. Takeaway service is also available. #KanGurular Ari D.
Taste: The taste of the meatball is average. The blarney must be tried. Braising: The master is cooking thin meatballs on and coal fire. 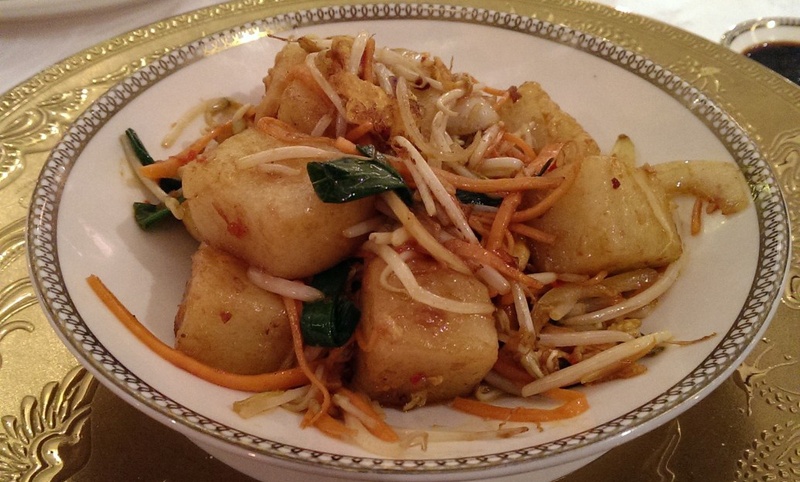 Portion Size: The amount of the portion is satisfied with sidings. Hygiene: It is a clean and chic venue. Service: Meatball are cooking fast due to they are thin. Our orders came in a short time. 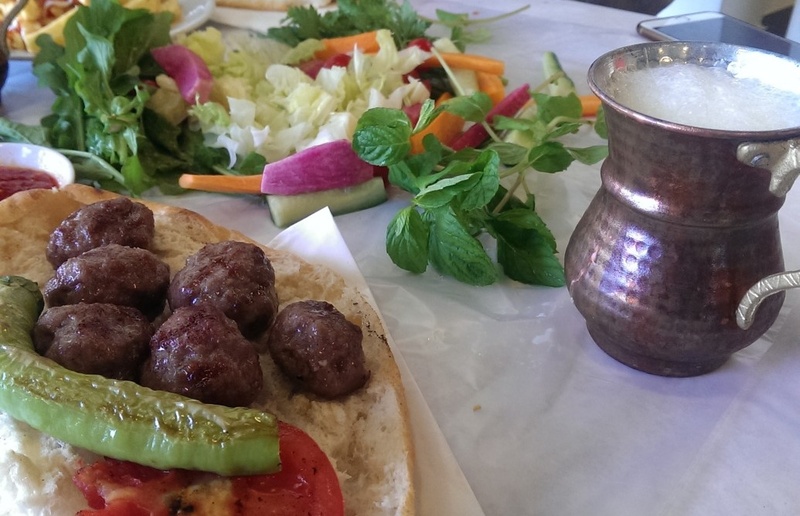 Price: The cost of portion meatball and blarney is 16 ₺, glass bottled ayran 3 ₺. 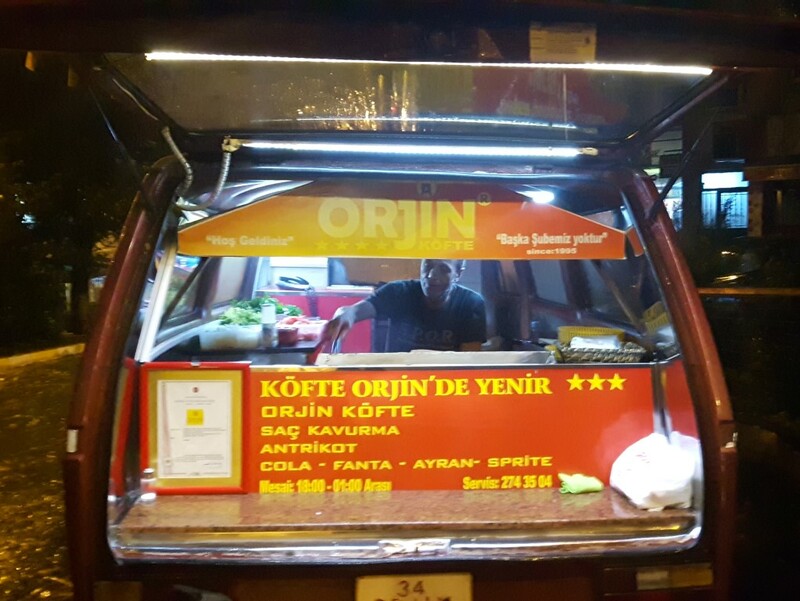 Orjin Köfte is giving service in stable red-yellow coloured van, located in the corner of Öztürk Str. And Ali Sami Yen Str. under the trees decorated with red-yellow lights in Mecidiyeköy, behind the Divan Hotel. 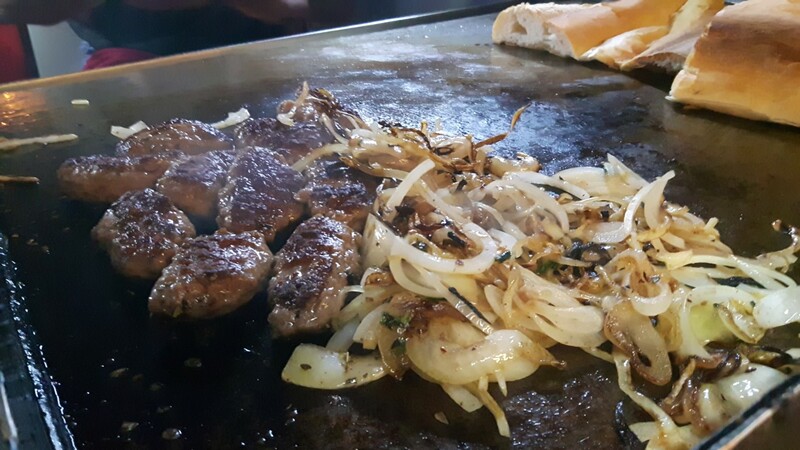 The creator of Orjin Köfte, Master Adem has succeeded to reach now since 1994 without compromising its quality. The venue is open from 18.30 to 24.00 except Sundays. There is permanent phone line for takeaway service. Credit card is no available. Although it is a pitch venue, it has an organizational structure. There are also stools near the van for the people who do not prefer to eat as fast food. You can prefer meatball as portion or sandwich. When you give your order they were asking do you want onion and hot sauce or not. It is a kind and rare feature. 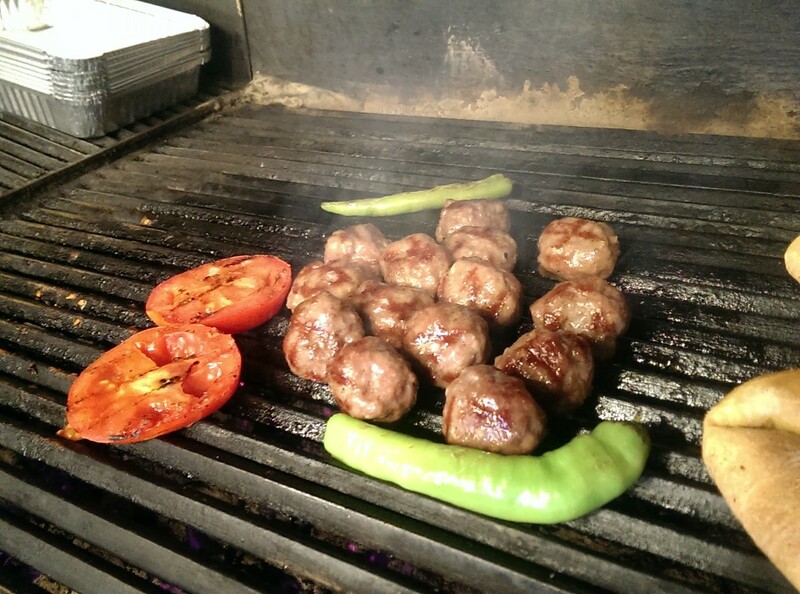 Grilled tomato, onion, green pepper are matching sidings for meatball. 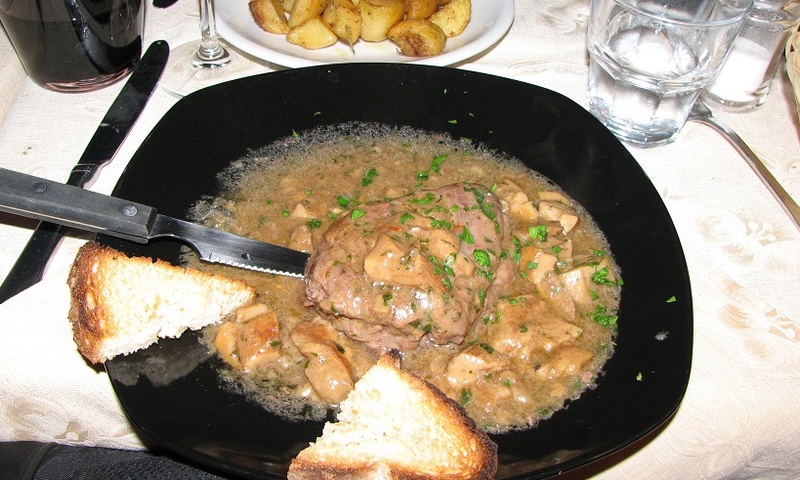 The meatballs are consisted from mainly veal meat and some curly lamb meat mixture. There is no spice. It does not bother your stomach. They are put 5 pieces of in the sandwich. It is enough and satisfying. There is no handmade ayran. They use Eker brand ayran. Master Adem loves his job. He was doing the same job at Ali Sami Yen Stadium on the football match days of Galatasaray Sports Club in the past time. He is carrying the same taste to our day. #KanGurular Ari D.
Taste: The taste of the meatball is under average. Braising: The master is cooking the meatballs on iron plate grill. 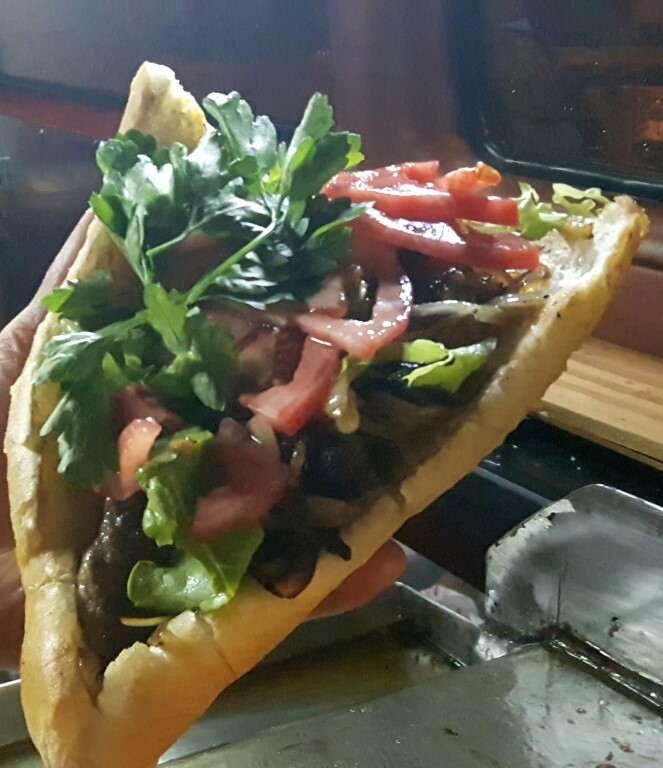 Portion Size: The amount of the meatball in the sandwich is satisfying. Hygiene: It is booth and clean venue. Service: The meatballs are cooking fast. Your order is preparing in a short time. 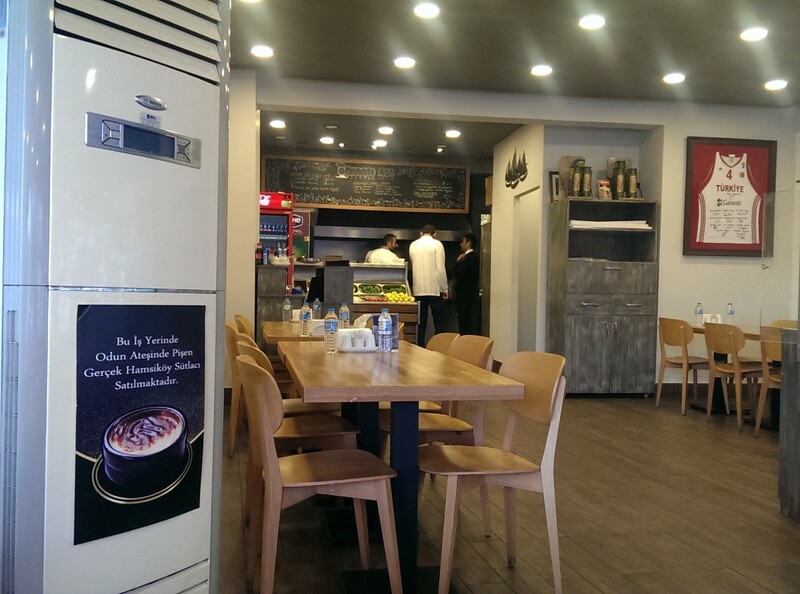 Can-U-Can Meatball &Grill is giving service in two branches in Beylikdüzü county. 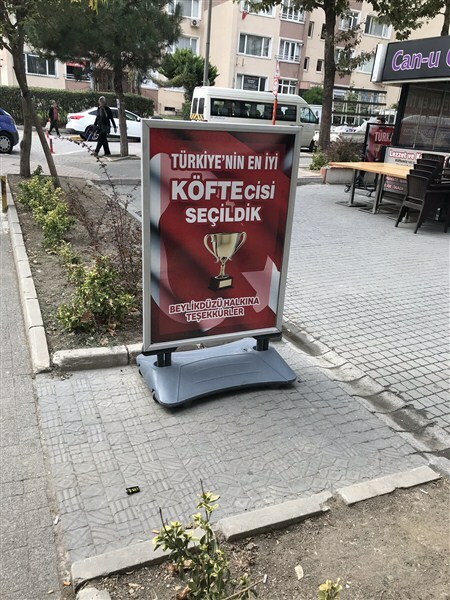 This year, it has been chosen as the best meatball venue in Istanbul in the election arranged by TURES (Association of All Restaurants and Suppliers). We went to the first branch of it located back of Beylikdüzü Migros. It is located on a corner. They are serving grill kinds except meatball. You can buy these products as kilo and portion also as raw. The meats are coming from Thrace region. They are local fatlings. The %85 of the meatball is meat. Remain of it is composed from bread and spice. It did not satisfy me in respect of taste. 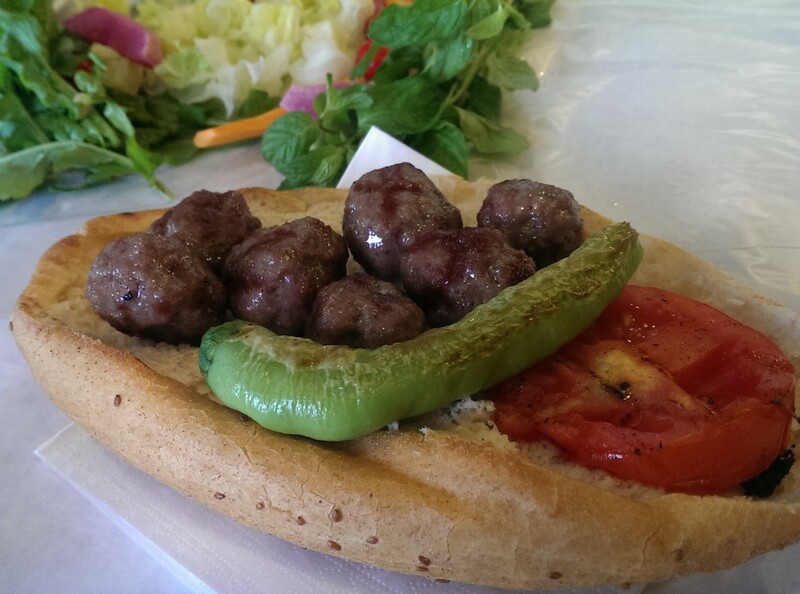 It is no need to visit Beylikdüzü for this meatball but if you are around you can drop by here. 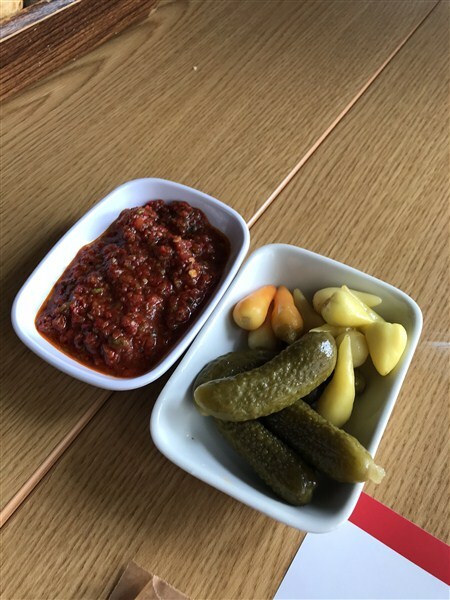 Pickles and hot paste are offering as side dishes. Meatball is serving on porcelain plate. If they put some bread under of it, they would be prevented cold fast. Haricot bean salad could be more delicious if they had used a more qualified olive oil and added egg into it. There is no handmade ayran. 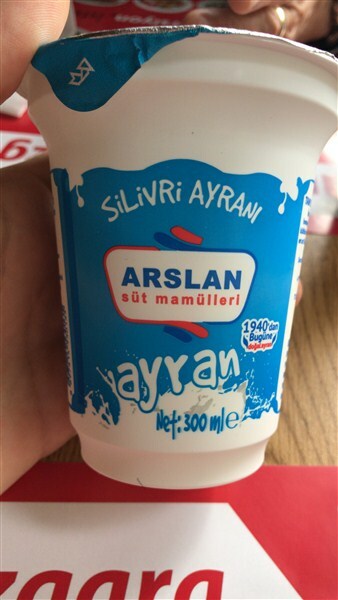 You can find package ayran as Silivri Arslan brand. It is also a nice yoghurt brand. 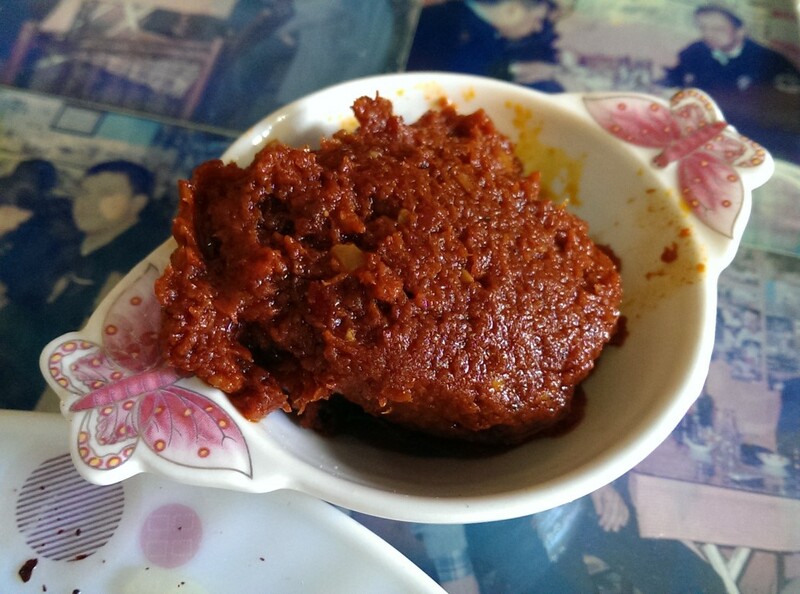 #KanGurular Erdi K.
Taste: There was no special taste. It did not meet my expectation. Braising: It was not a watery meatball. It was tough. Portion Size: Its portion composed from six pieces of meatball. It weights is about 200 grams. Hygiene: I did not experience any difficulty in respect of hygiene. Service: Our orders were ready in 10 minutes. 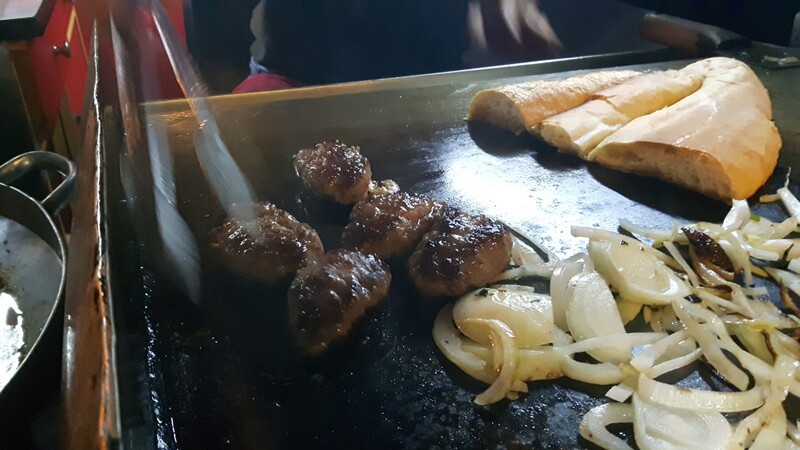 Osman Aga Serpme Köfte is a modern and hygienic meatball restaurant in Kozyatağı. By serving a successful concept with a tasty meatball type, they have found the right way for meatball lovers. The venue is operational for about 1,5 year. Especially it had made hit with white collars around for lunch time. We dropped by the venue on a weekend around noon. The venue was almost empty. So, we had a cheerful chat with one of the partners, Onur Bey. He is an old basketball player. His partner and brother, Bekir Yarangüme is one of our national basketball players. 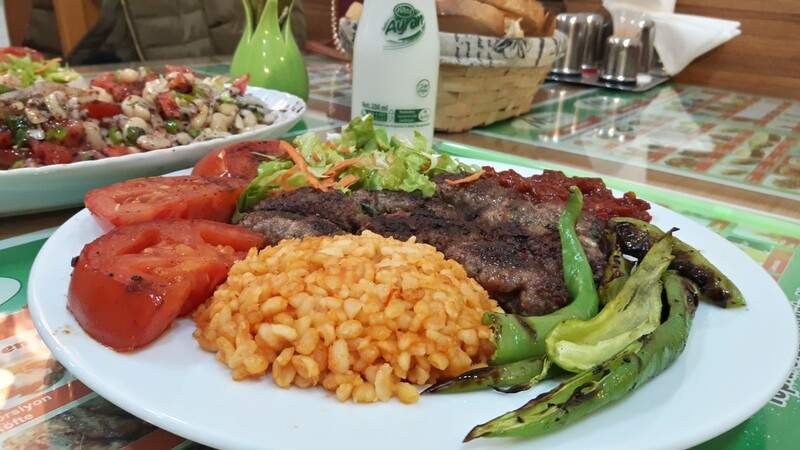 They integrated the Ankara style meatball with Edirne style meatball. It became a right choice. They have met the Ankara style meatball concept I liked with my favourite meatball kind, Edirne style meatball. First of all, I congratulate them for this idea. 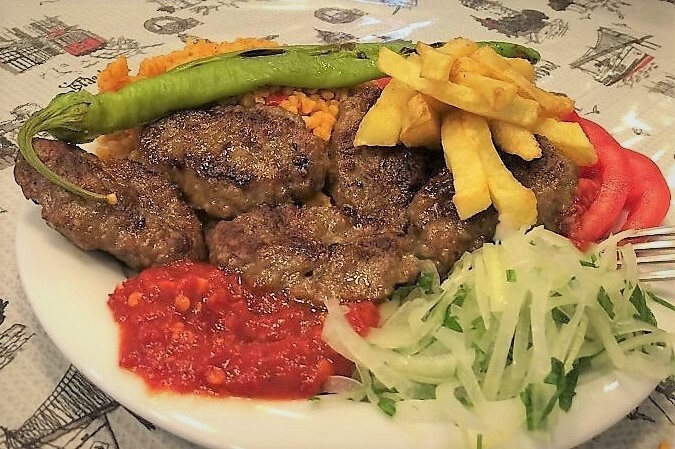 Why I love very much Edirne style meatball? It is fatty and watery. 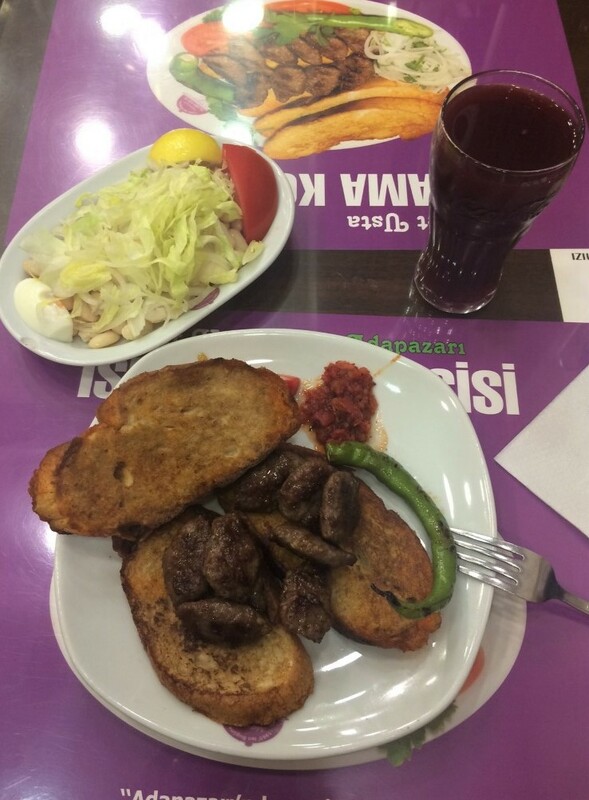 It is used delicious meat of Edirne, no bread, little spice and you can feel the taste of meat deeply. The venue is buying most of its products from Edirne. The name of the venue, Osman Ağa, is also included to this. Osman is the name of their deceased father. Aga is a common address using in Edirne for important people. 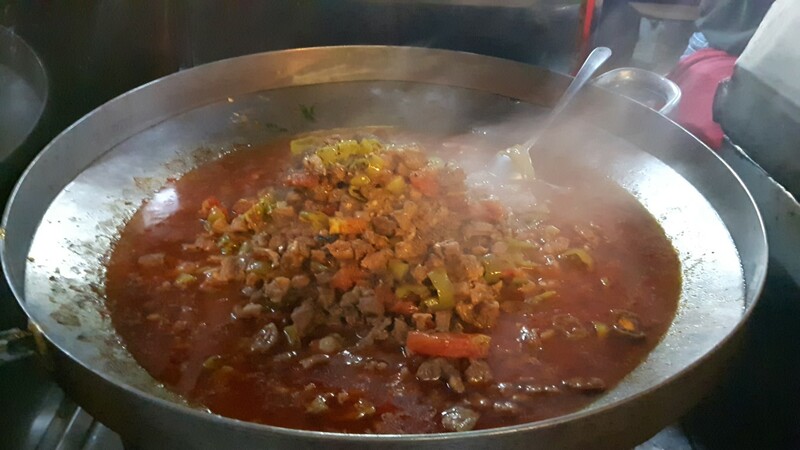 The most important ingredient, the meat is from Kırkpınar. Mincemeat is preparing by the master in the venue in every morning by mixing with spices. 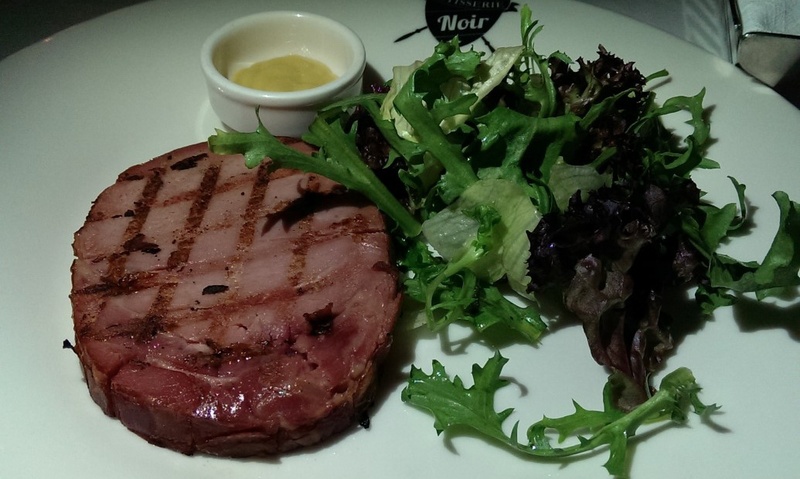 It is balanced with its own oil and %100veal. It is consisting of no bread, salt and a little cumin and pepper. 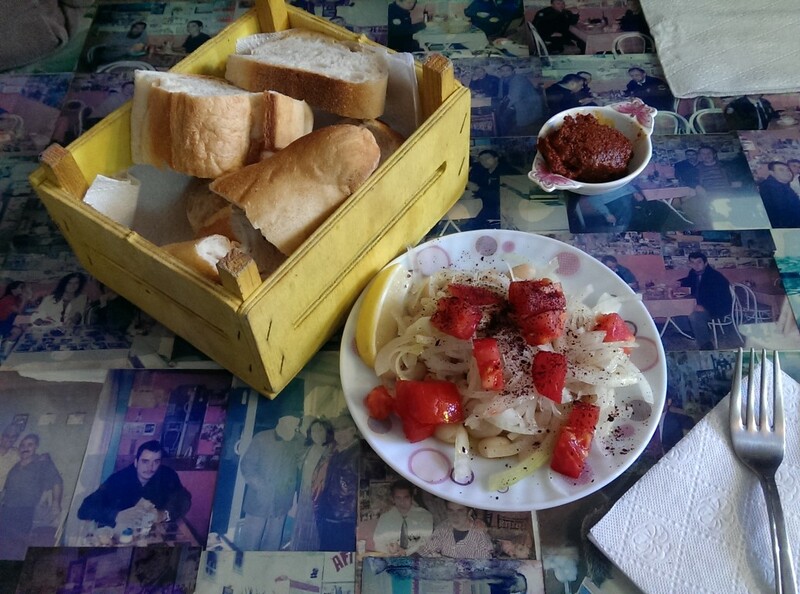 Actually, red onion of Thrace giving that taste to Edirne style meatball. Relevant onion is also exists in that meatball. Its texture is not too loose. Its softness is in moderation. Because, it is being grinded only one time. The reasons of the watery cooking of the meatballs are the master and the design of the grill. Meatballs are cooking in slow coal fire. They are serving fresh and well cleaned greens as siding on paper. You can also prefer light spicy fermented sausages except meatball. Their fries are handmade and of course very yummy. You should definitely order it. 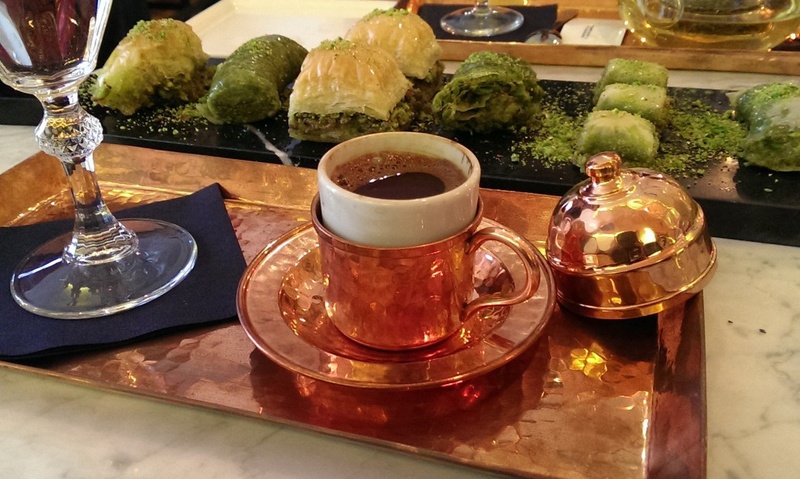 They are serving hardaliye (a local stum kind with mustard seed) as beverage is a rare option in Istanbul. The handmade ayran we tried was weak in respect of taste. 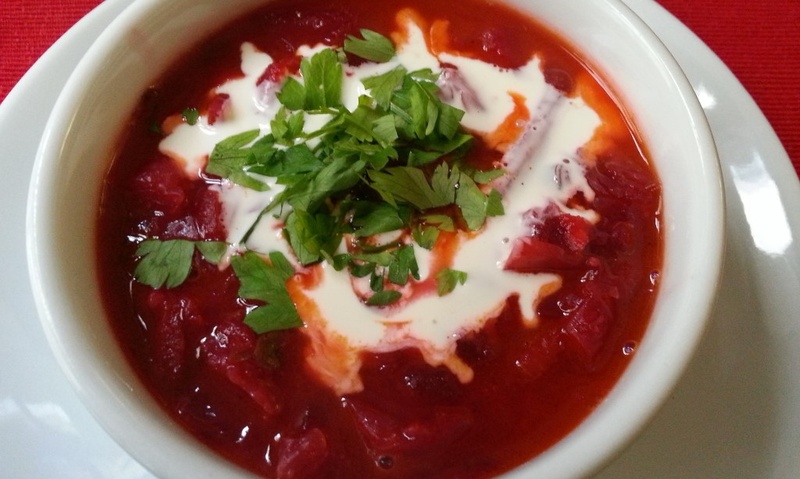 It might be successful; if they use more dense yoghurt for it. 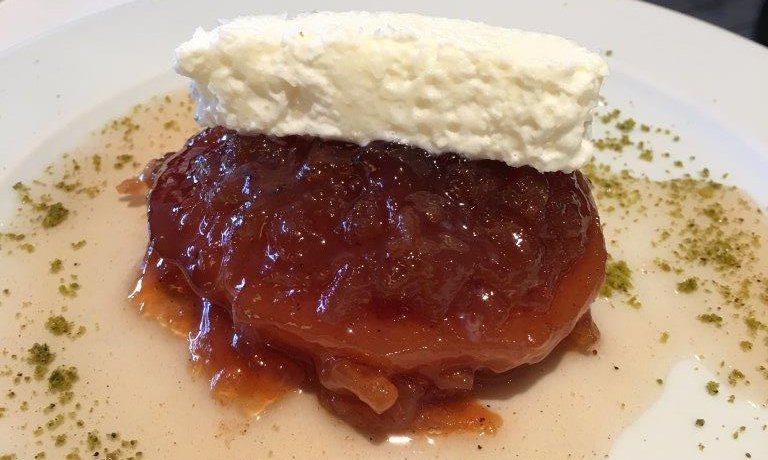 They are offering Hayrabolu Desssert and rice pudding from Hamsiköy as dessert kinds. There was no blarney. They offer tea. Working time is from 10.00 to 22.00. Credit card is available. #KanGurular Gültekin U. Taste: The meatball is delicious. Being light spicy and no bread inside of them having a big part in this. Greens are fresh and clean as siding. Braising: The master was cooked the fatty meatballs at the right consistency and watery. Portion Size: Portion Size is not satisfied for everybody in respect of quantity. You can satisfy also eat bread and greens. Hygiene: It is hygienic and spacious venue like the products they offer. Service: The venue was empty. So it is difficult to evaluate the service speed. 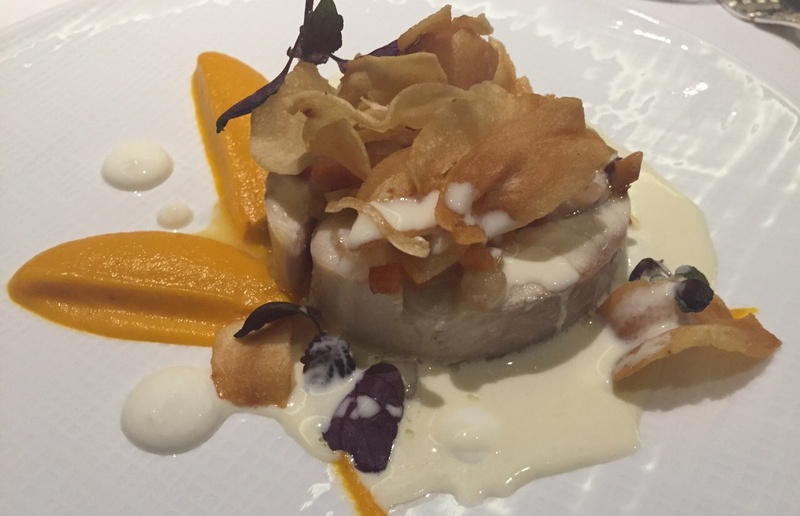 May be you can wait in busy times because of the slowly and carefully cooking style of the master. 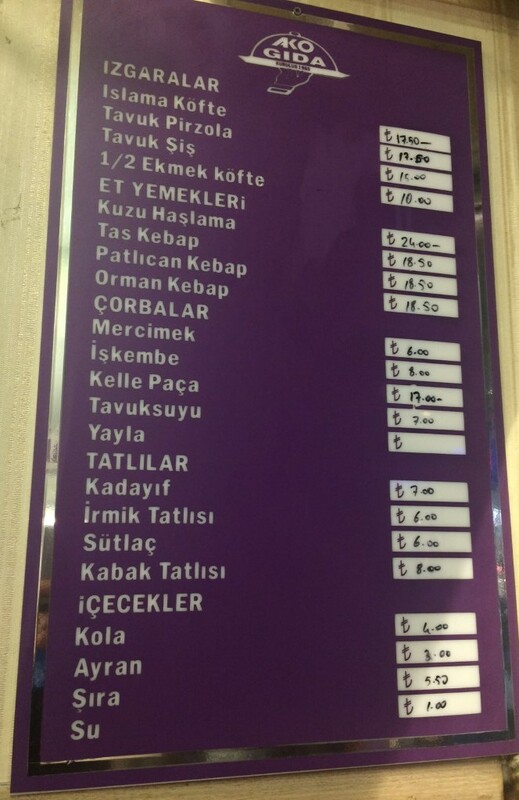 Price: The cost of portion meatball is 21₺ (including greens) fries is 7₺, ayran 3,5₺. I found the meatball price a bit high. We went the venue located near an old venue called Kolombo Kebap on Moda Street on a Sunday afternoon. The venue is looked like composing of two different venues firstly. Actually it is a U shaped venue and connected from inside. It has two gates and a dim atmosphere. It was like a luxury steak restaurant. It was very crowded when we visited. We hardly find a free table. 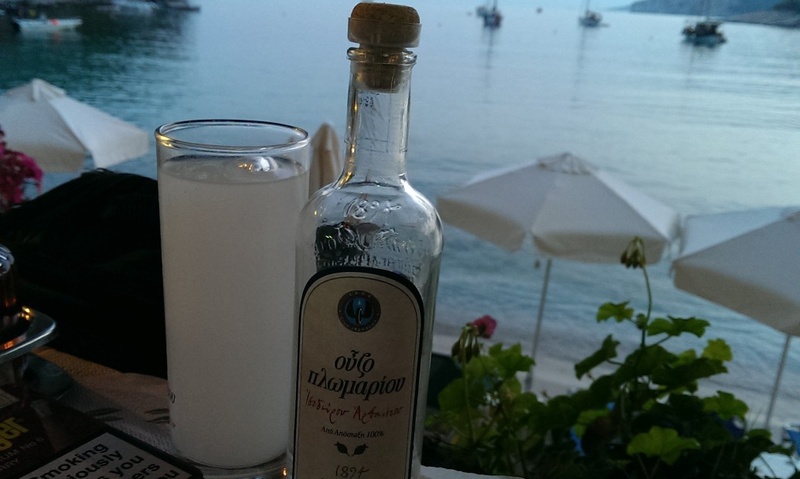 Some people were drinking raki. It was a very different atmosphere contrary to booth meatball shops. I asked the water the content of the meatballs he told that butcher meatball consists of % 80 veal, %20 lamb meat; other meatball kinds are consist of %80 veal, %20 lamb compound. I tried the butcher meatball with garlic and light spicy. 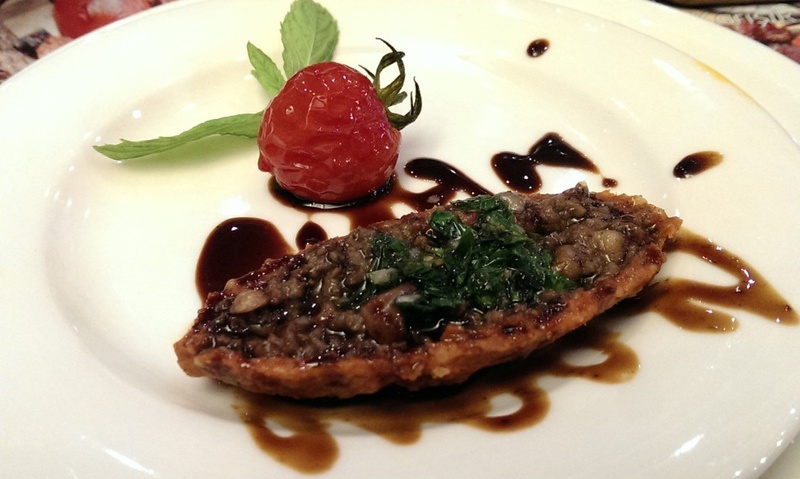 Another waiter was offering stuffed aubergine and stuffed meatballs to the people who they want to eat. It was looked like kebab restaurant in this respect. I did not want to eat none of them. 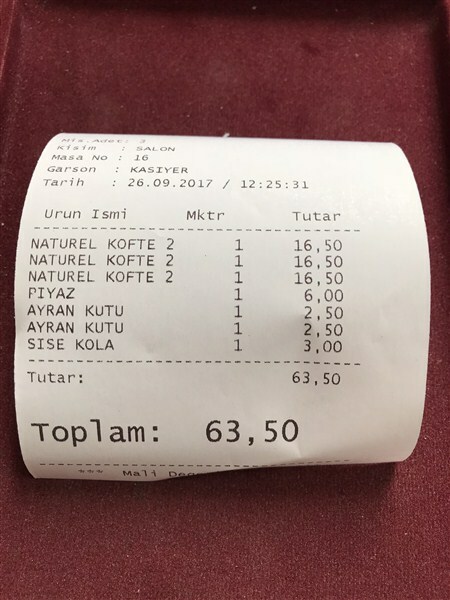 We also ordered gavurdağı salad and haricot bean salad. Both of them were served quickly as big portions. 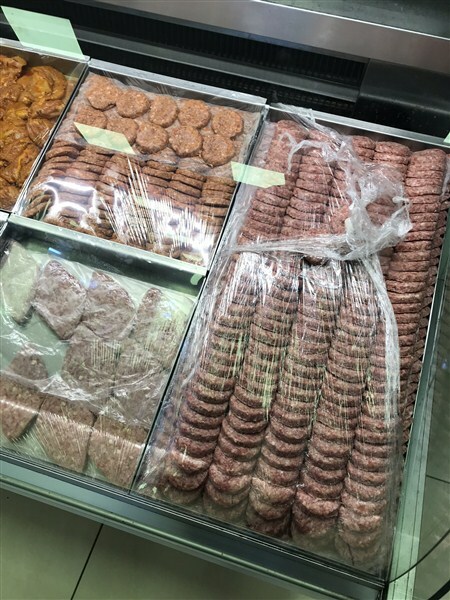 Gavurdağı is offering as seasoned. Olive oil&lemon juice service was made on the tale as your wish. 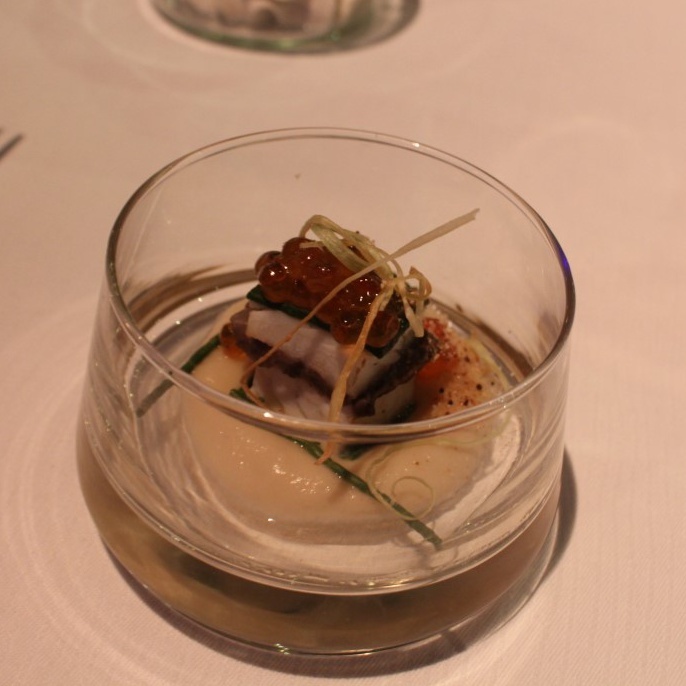 The consistency of the beans was also nice. 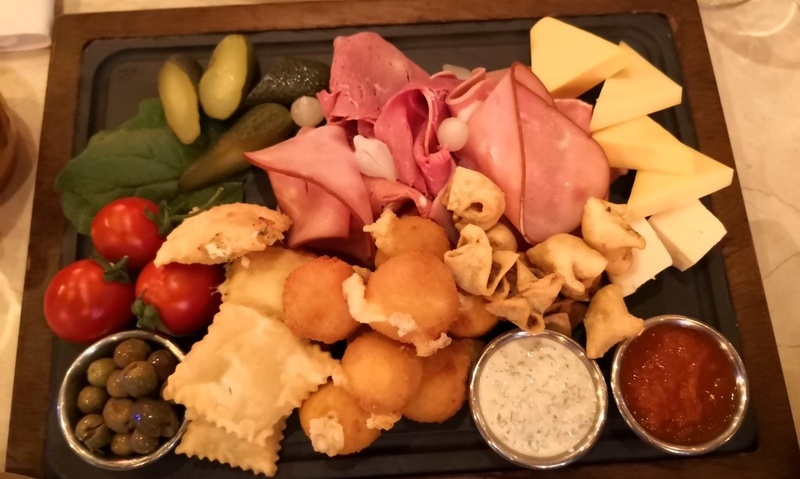 Firstly, I frustrated when I saw the meatball plate. Because, there were only two pieces of meatball in it. But the size of the meatball was big (180 grams in total) and support of side dishes was not little. 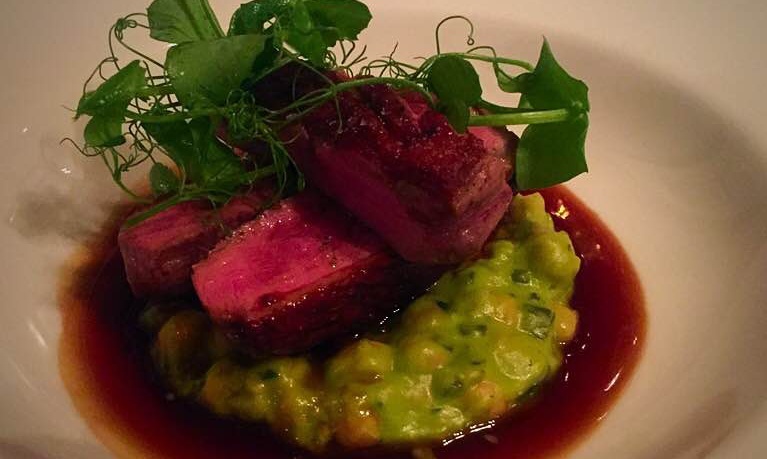 A grainy rice, a moderate hot sauce, a wonderful and smooth potato puree. 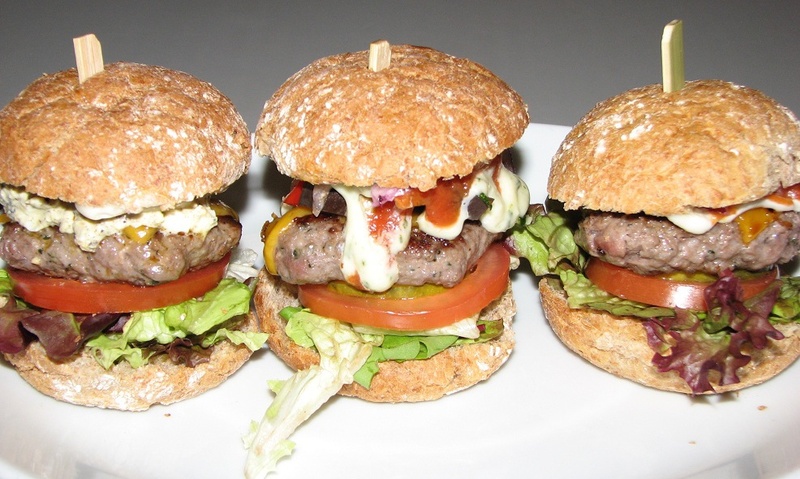 You can think meatballs as mini burger patties. The portion size of haricot bean salad was very big. It was also added olive and egg. The rate of onion and sauce were normal. They were giving thin and soft lavash pieces with meatball like they made the same for döner. There was no handmade ayran. So, I preferred water as beverage. After you ate meatball, you would probably thirsty because of spice and garlic. It has a oily mincemeat. There were four kinds of meatball in the menu. 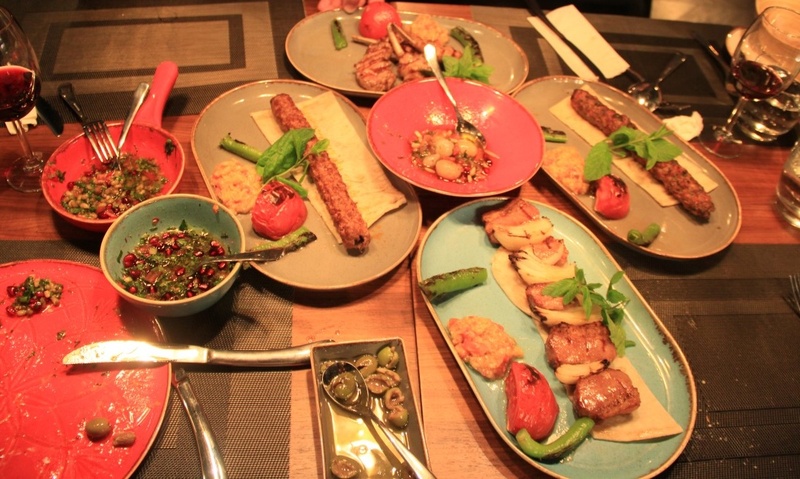 Grilled, İnegöl, kashkaval and mixed ones. Taste: The meatball has not a unique taste but they can be eaten nicely. Because they have not exaggerated the level of spice. The oil inside it made felt itself too much. It was at right consistency. Not too hard or too loose. Braising: According to me meatball could be cooked in the way of more watery. Its outer layer was cooked nicely without burning. Portion Size: firstly, two pieces of meatball were looked like very little because of the number but after you ate them; you will be satisfy. I loved both the rice and the puree as sidings. Thin lavishes were also good. If you do not eat blarney etc. 1-½ portion is enough. 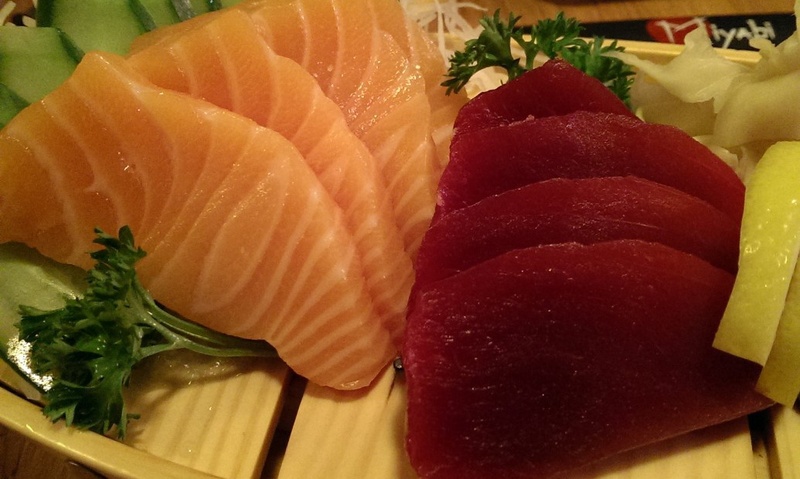 If you are not so hungry; normal portions will be satisfy for you. The portion size of haricot bean salad was big. Service: Waiters were not cheery but fast. 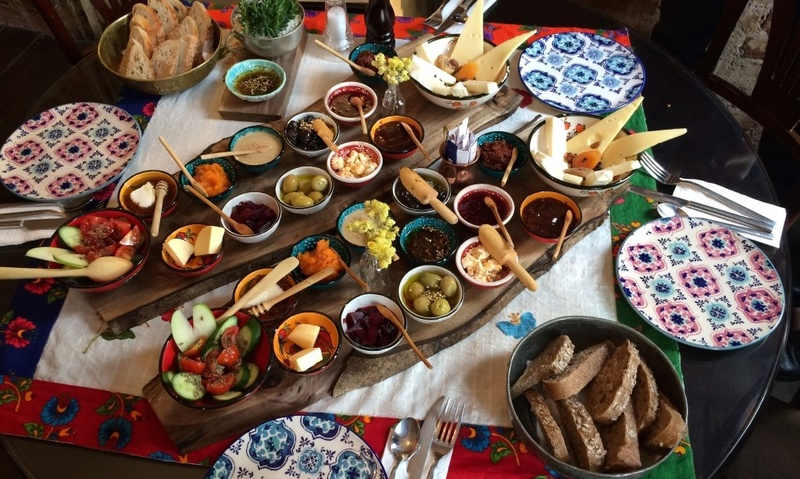 Before meatball haricot bean salad and Gavurdağı were served quickly. The meatball was late a bit but the venue was crowded. 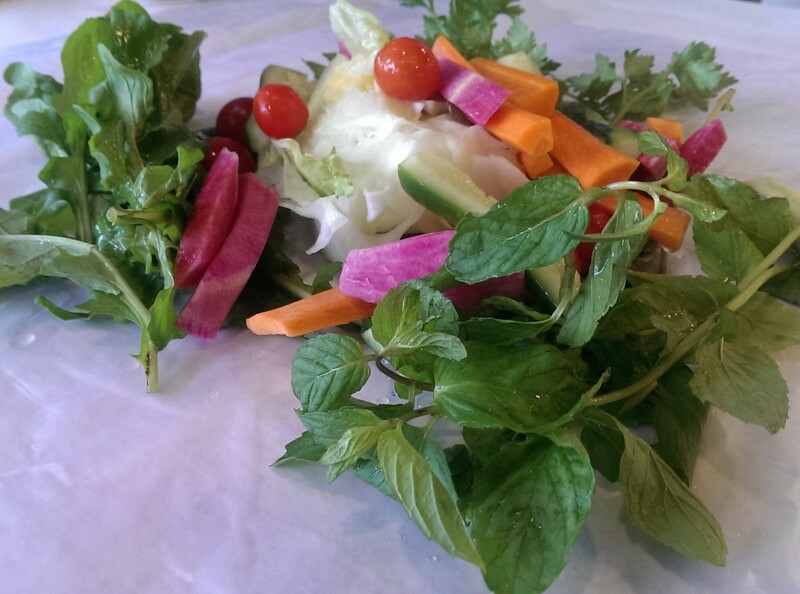 Making sauce service for haricot bean salad without our direction is an extra plus point. Price: It was expensive in comparison with standard meatball restaurants. 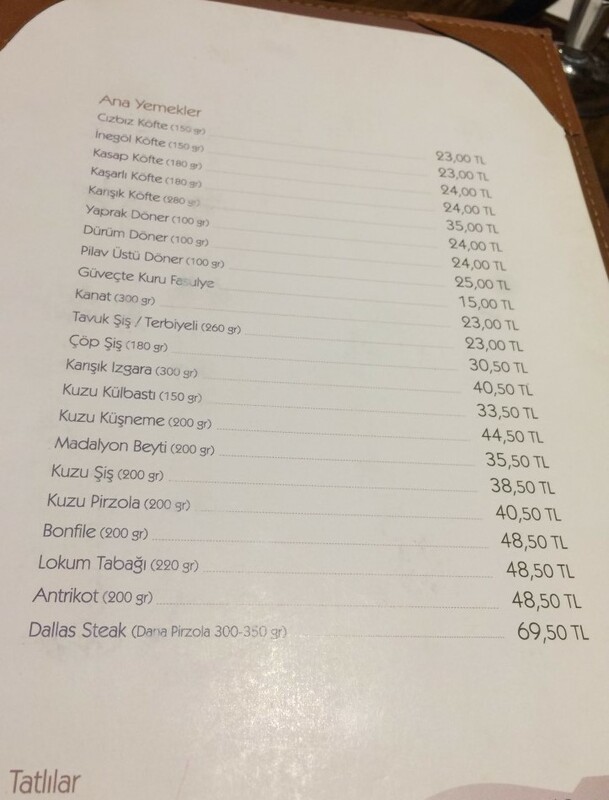 The cost of 180 grams butcher meatball is 24₺, blarney is 14,5₺ but it is not already a standard venue. It resembles steak house or pothouse. 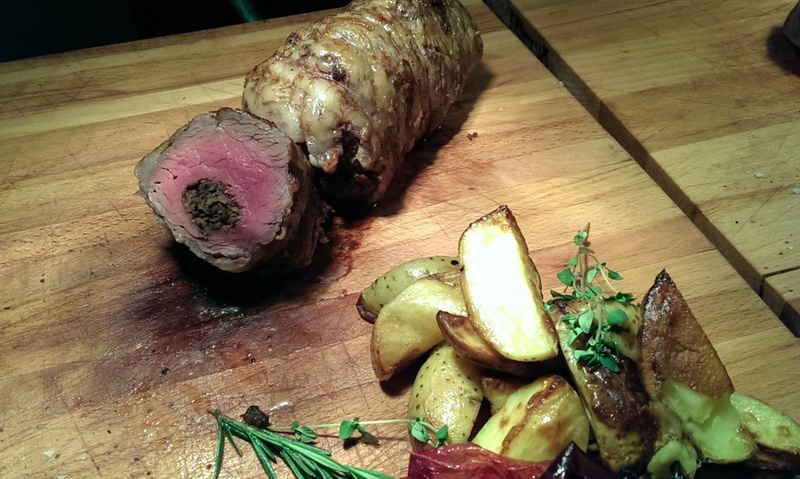 It managed to create difference with the ingredients of blarney and side dishes. It deserves its price but it is not a wallet friendly venue.